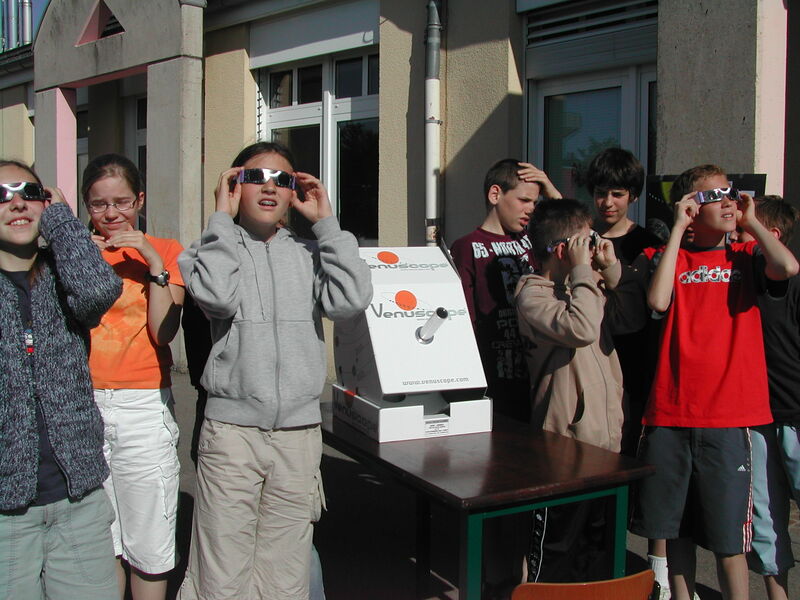 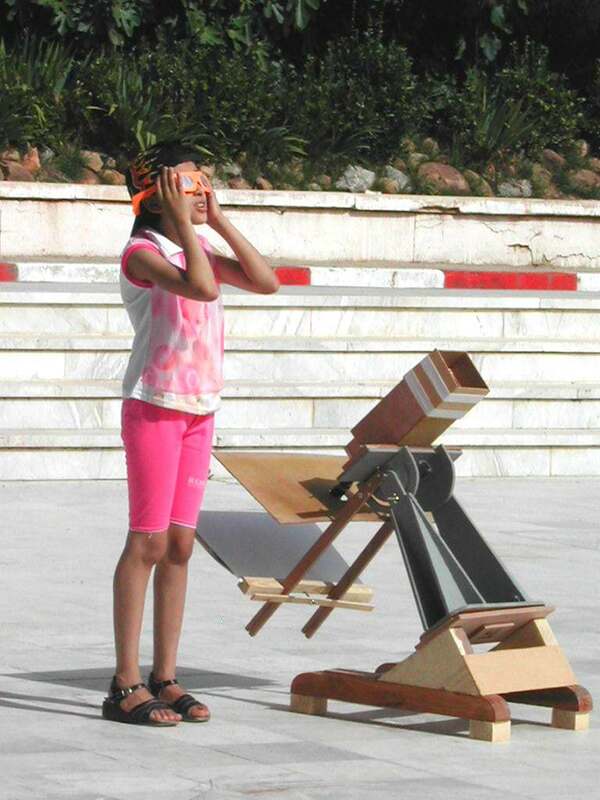 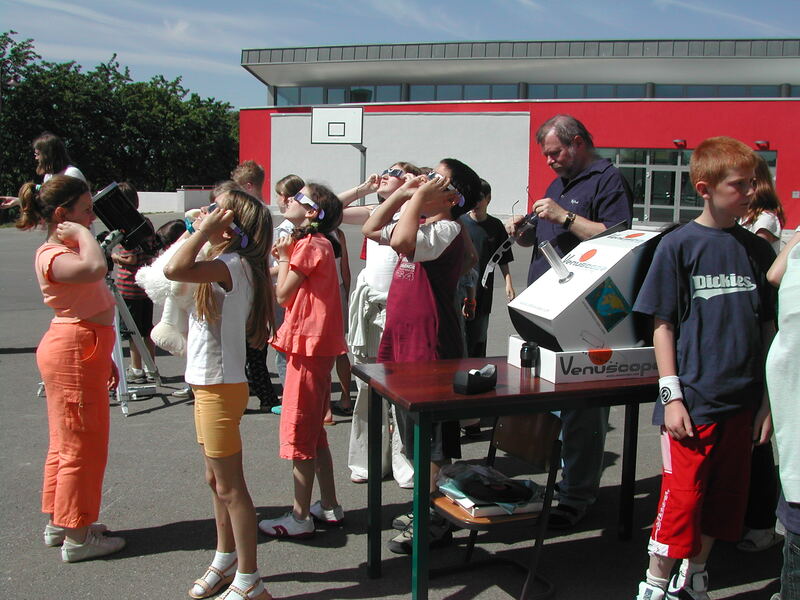 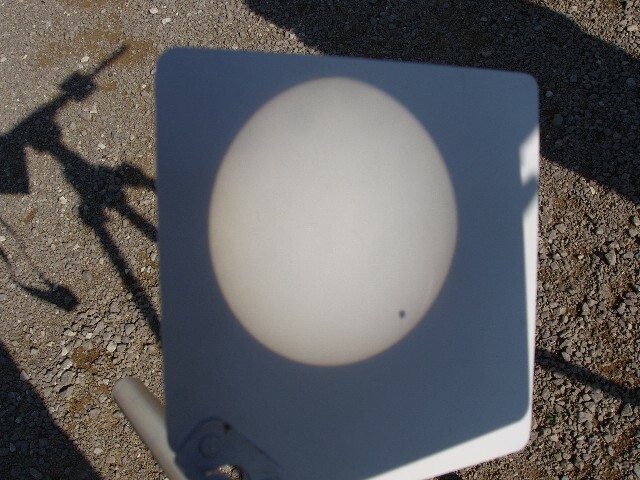 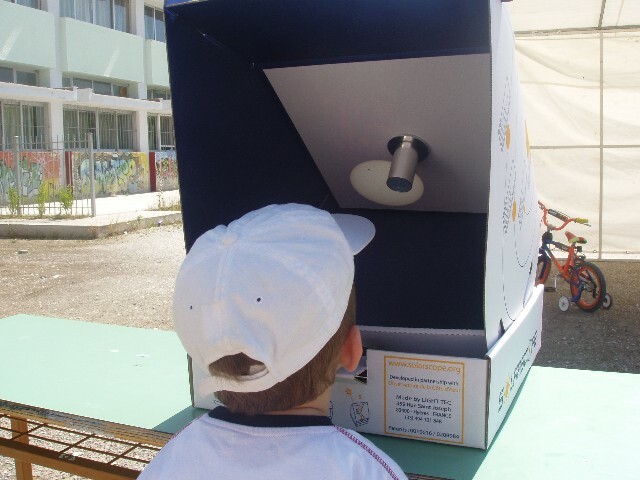 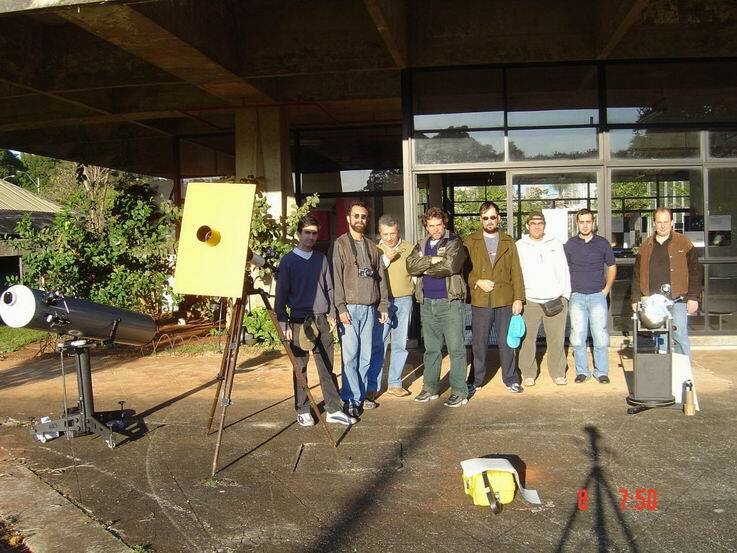 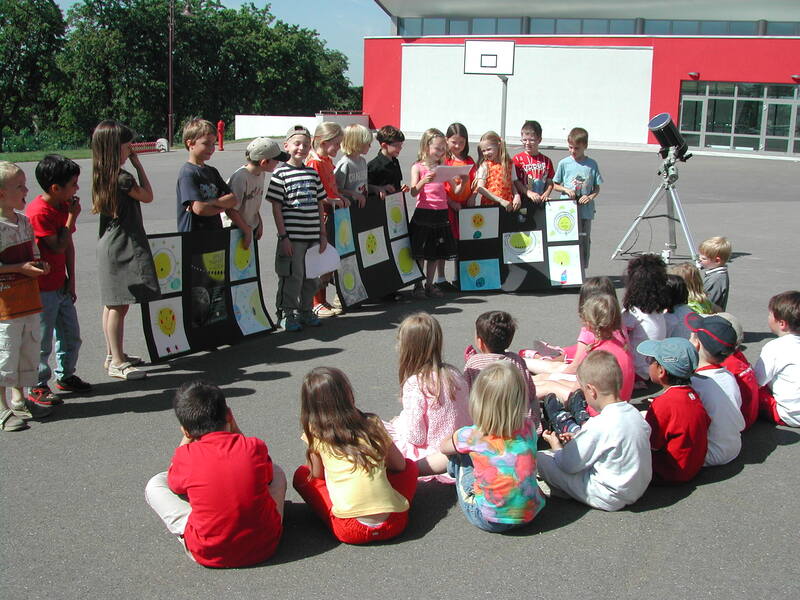 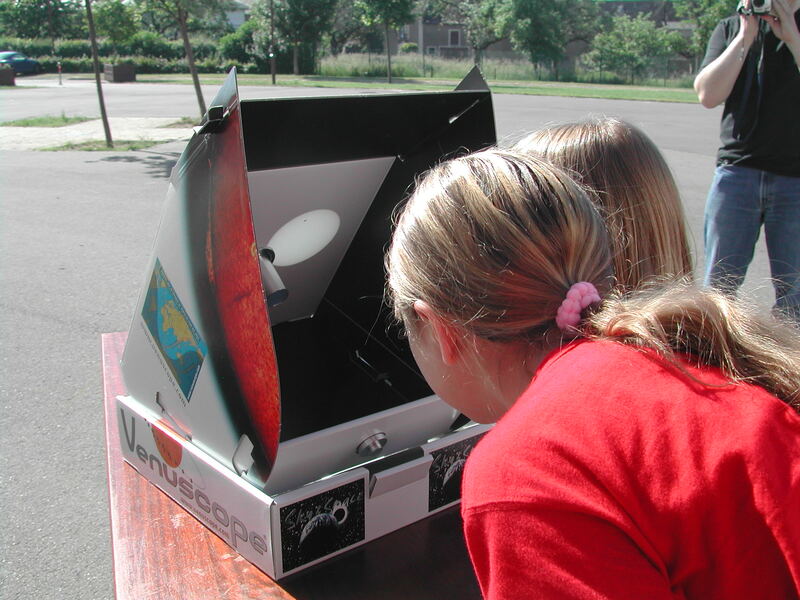 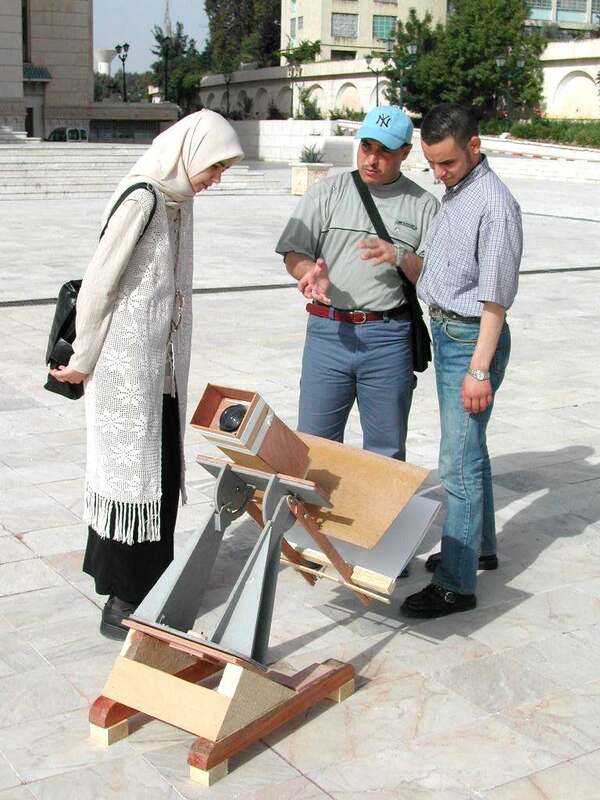 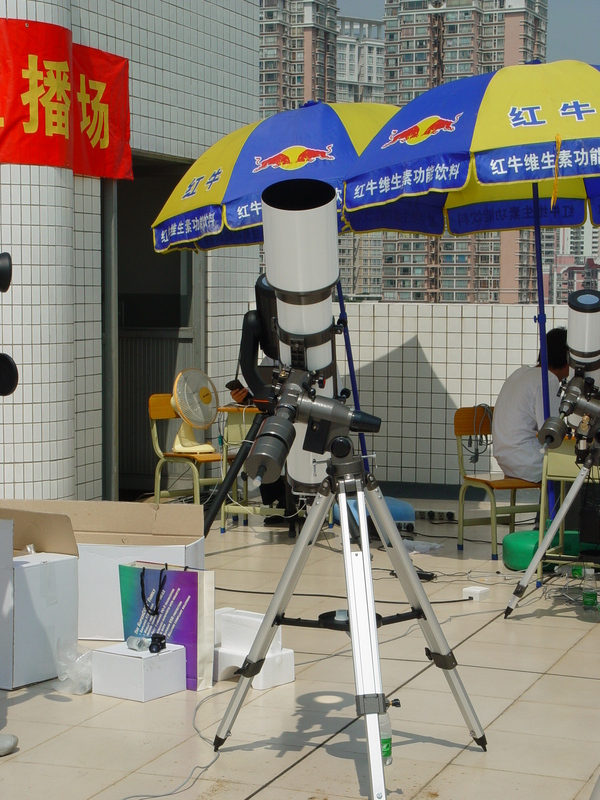 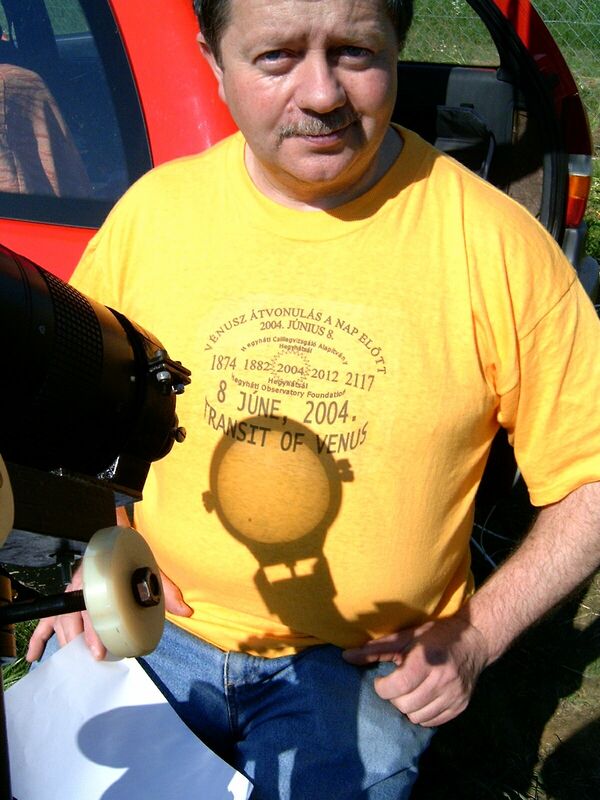 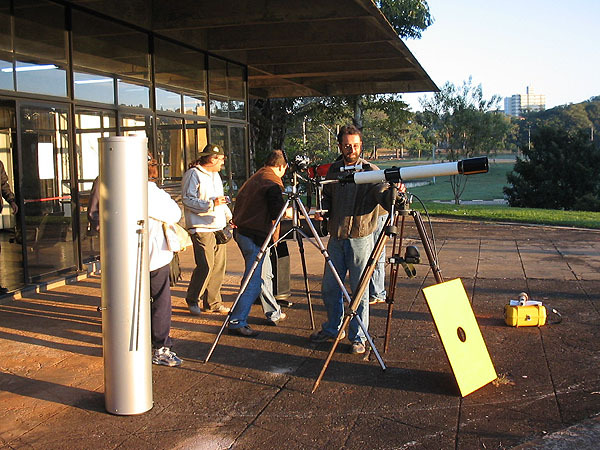 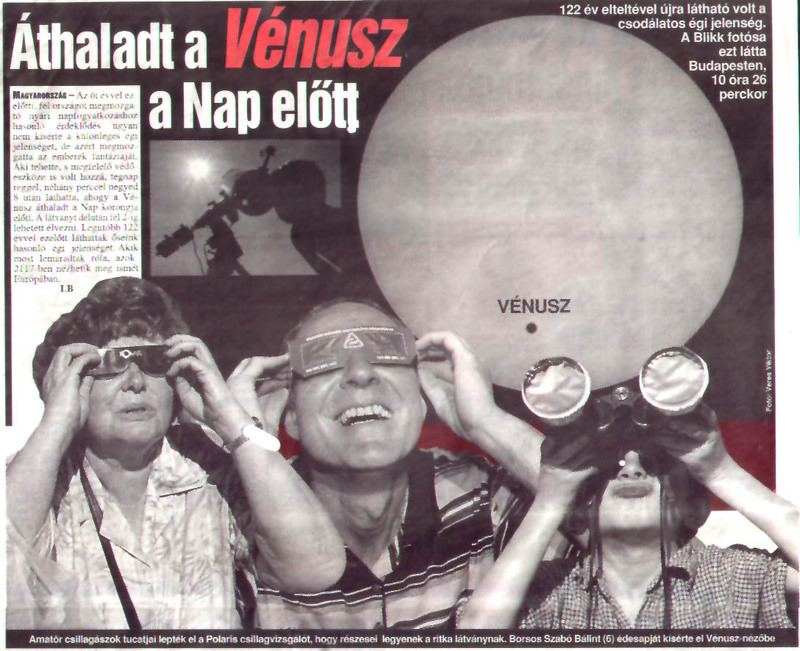 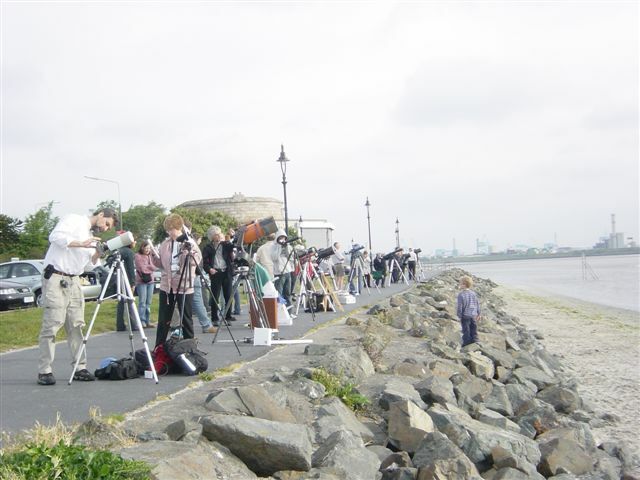 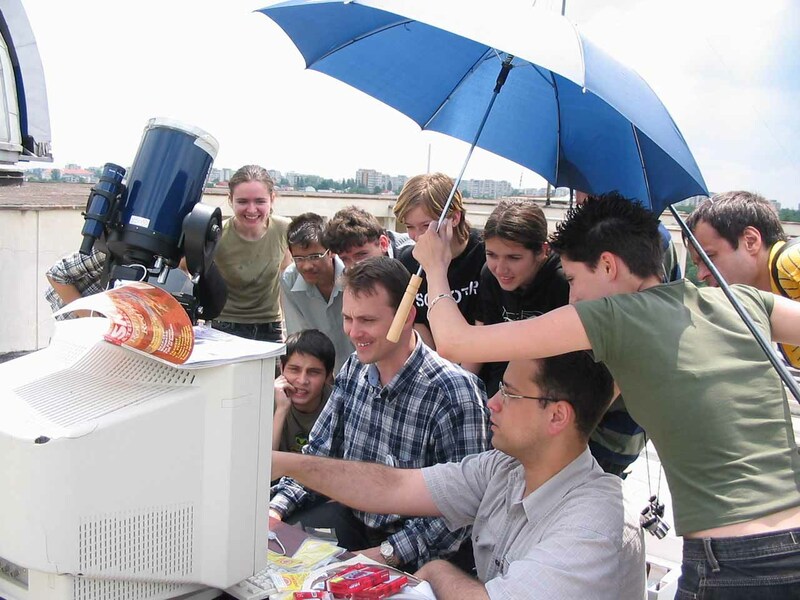 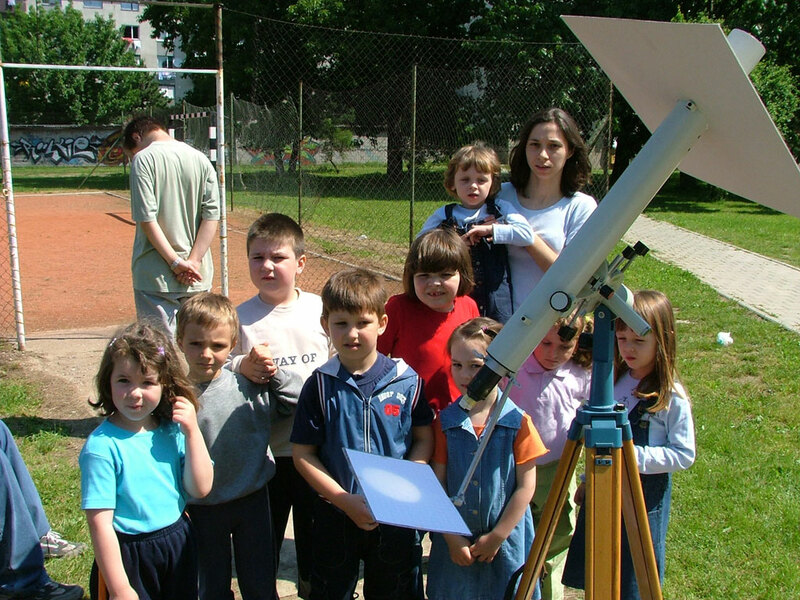 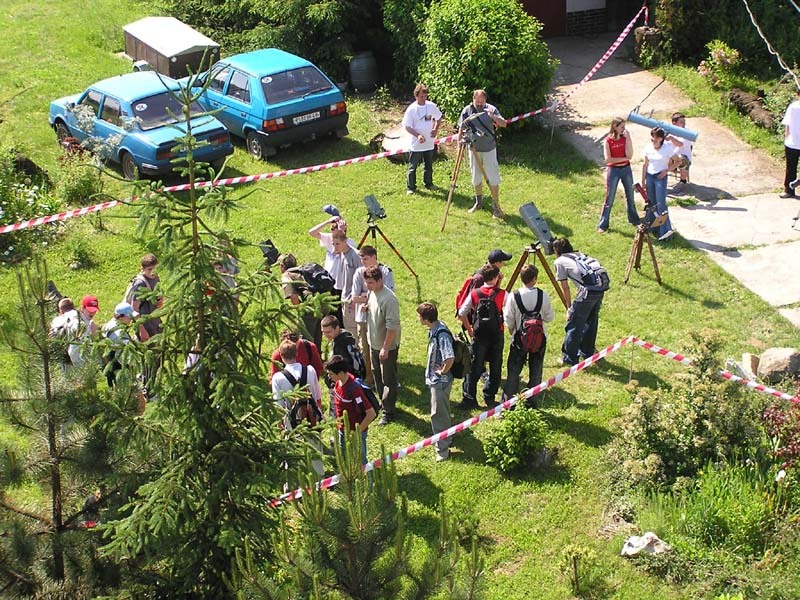 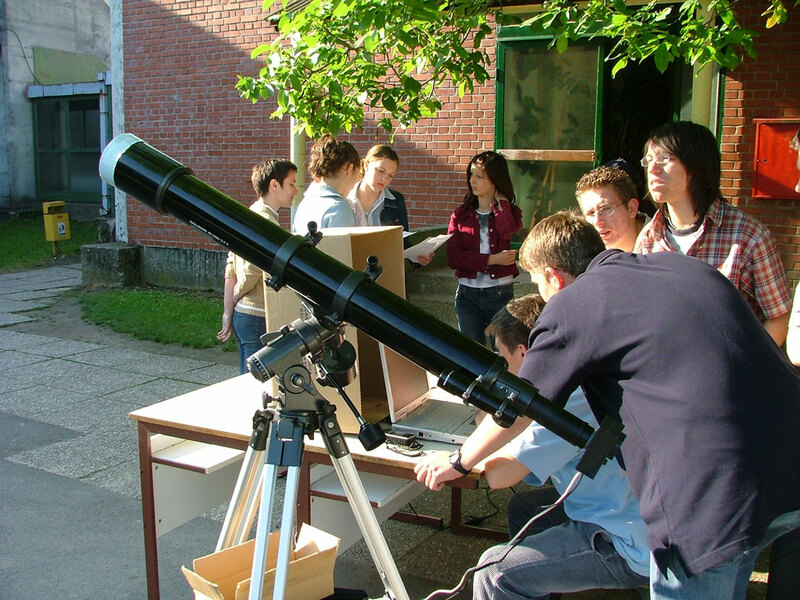 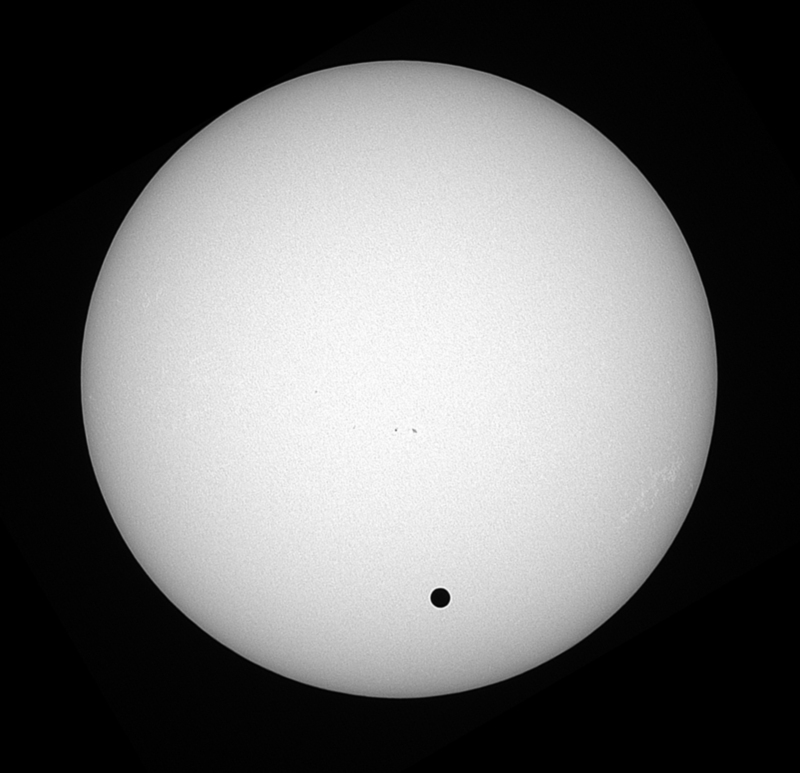 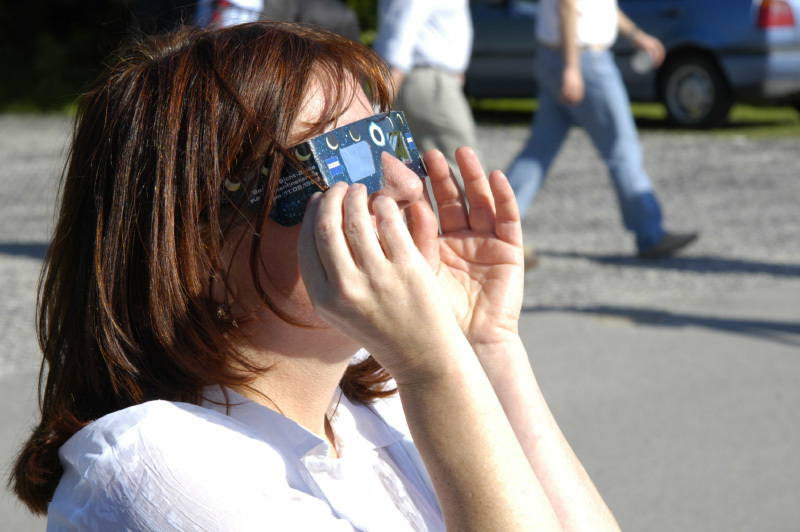 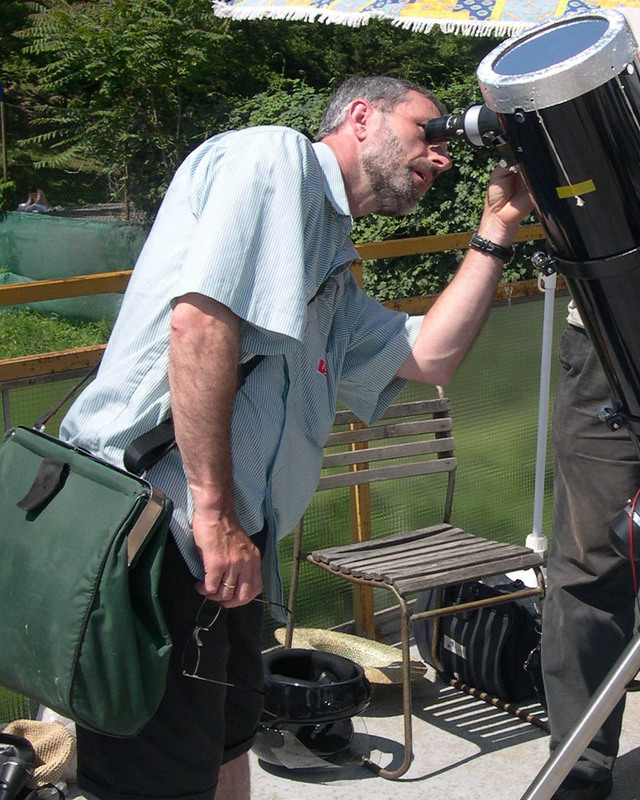 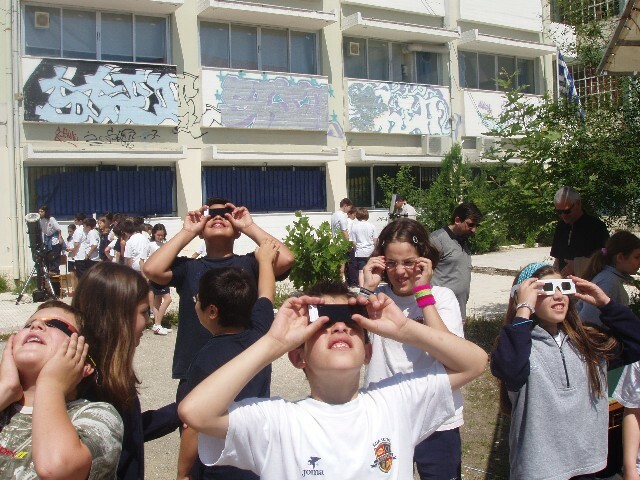 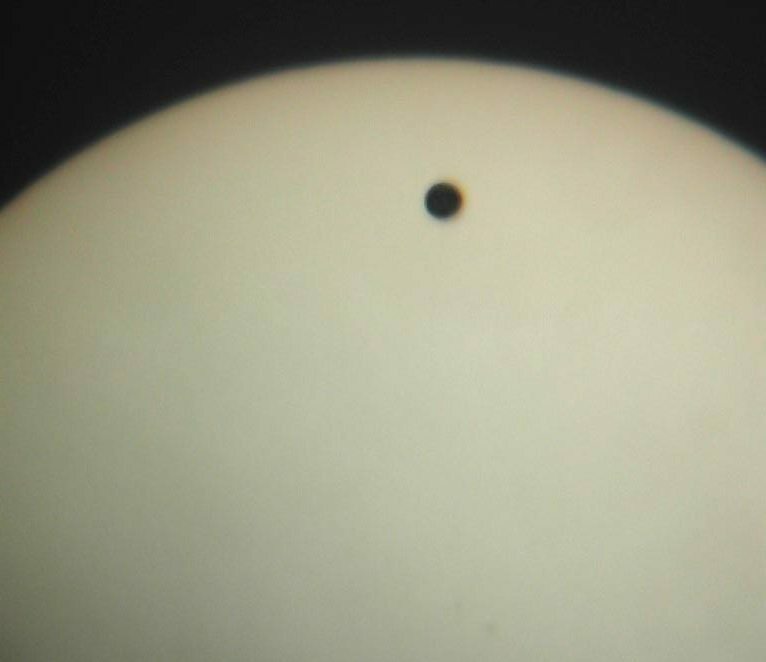 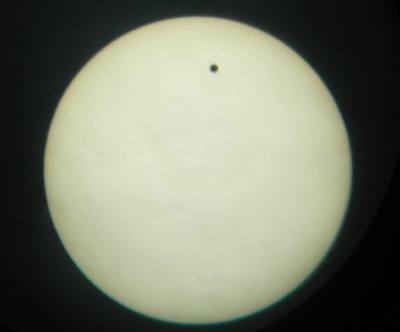 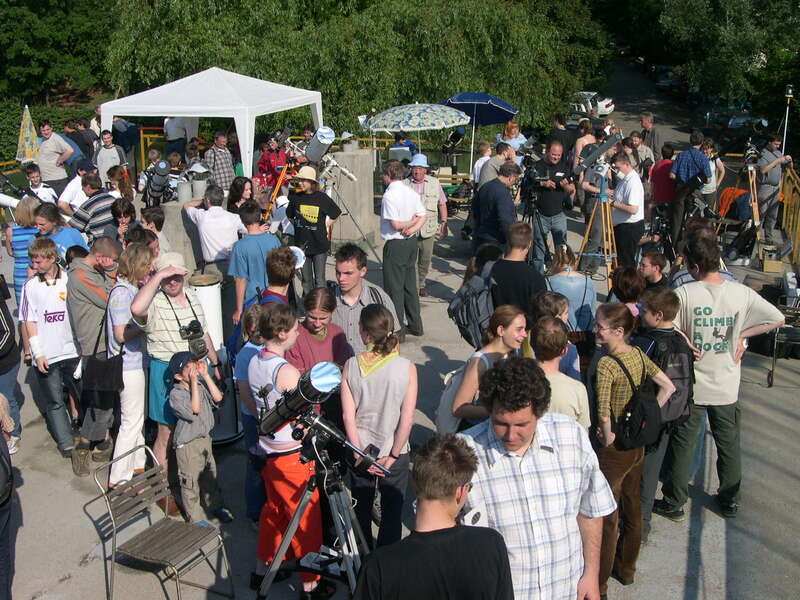 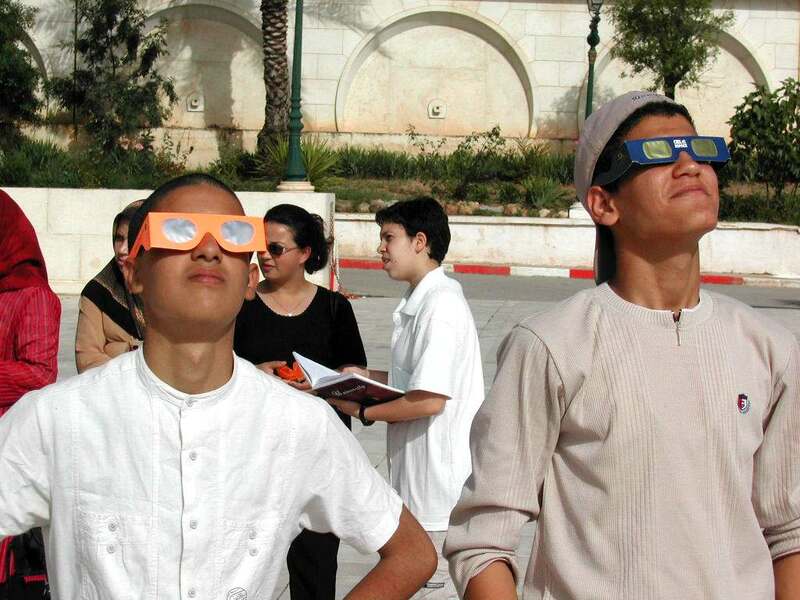 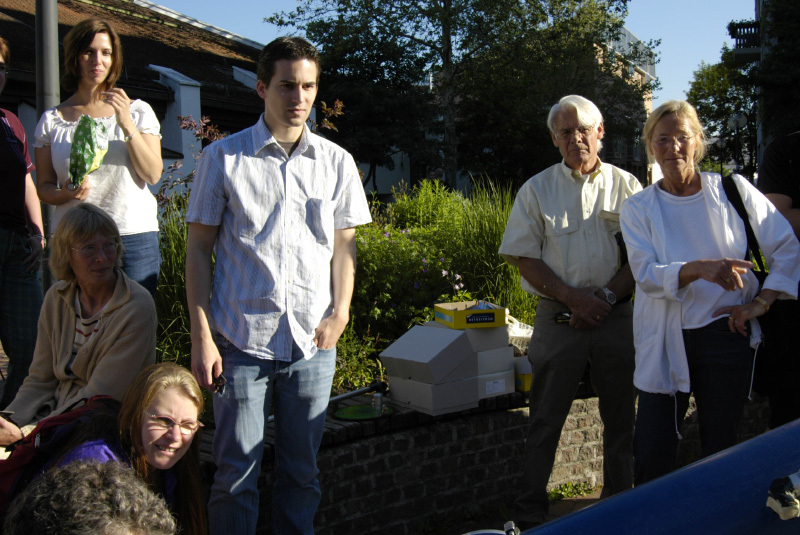 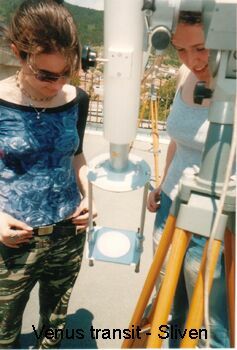 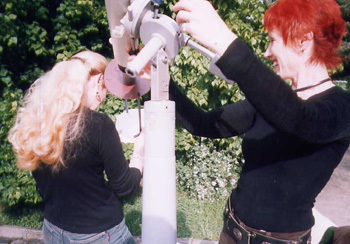 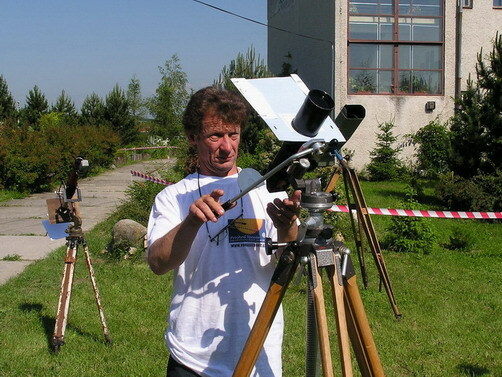 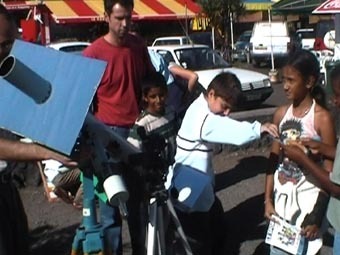 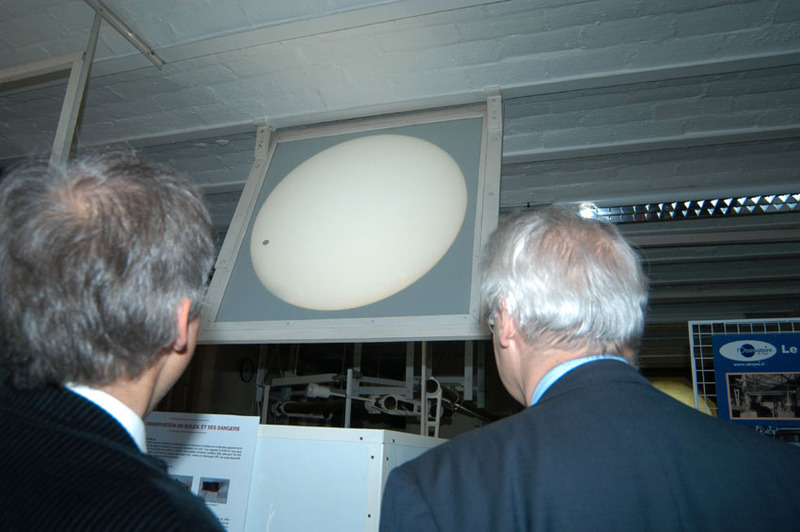 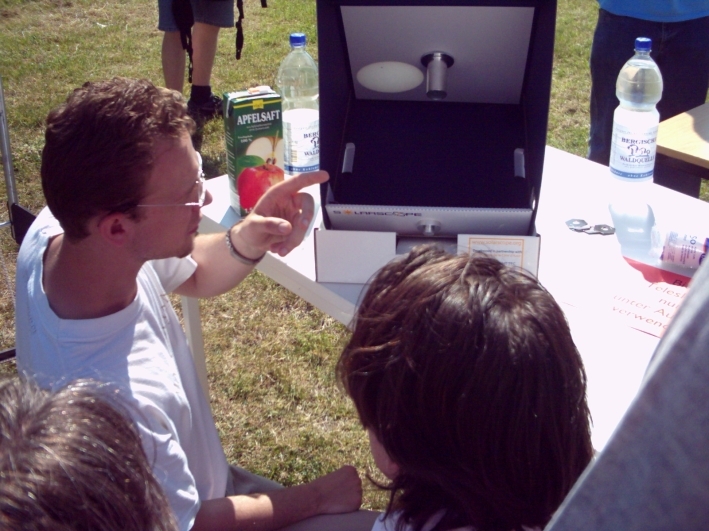 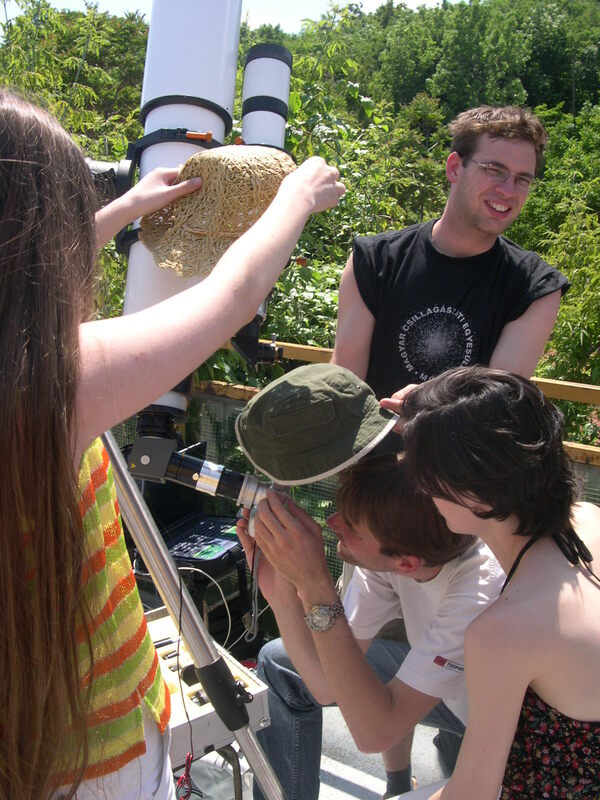 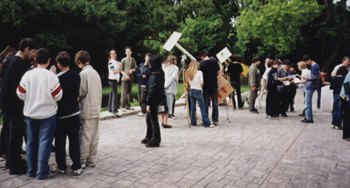 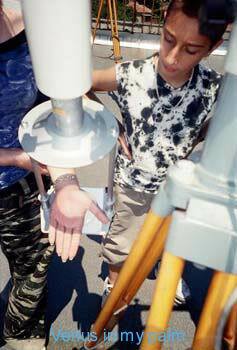 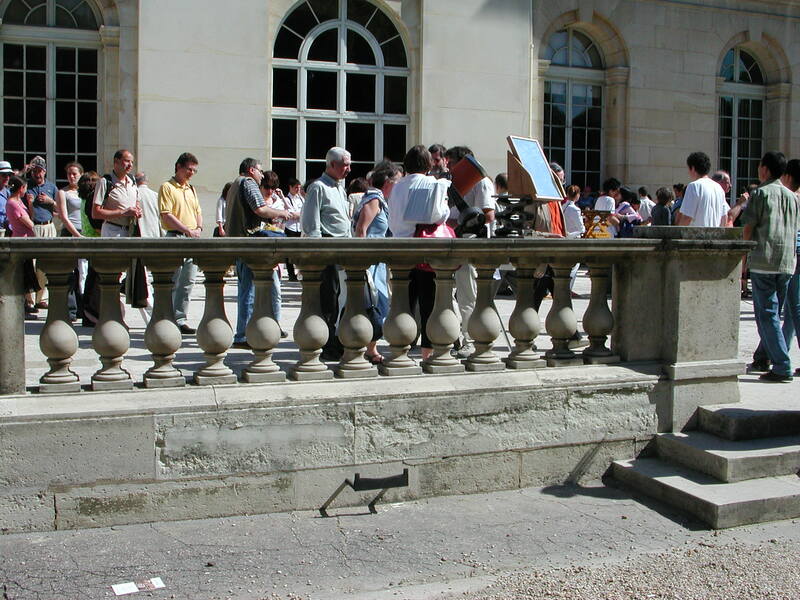 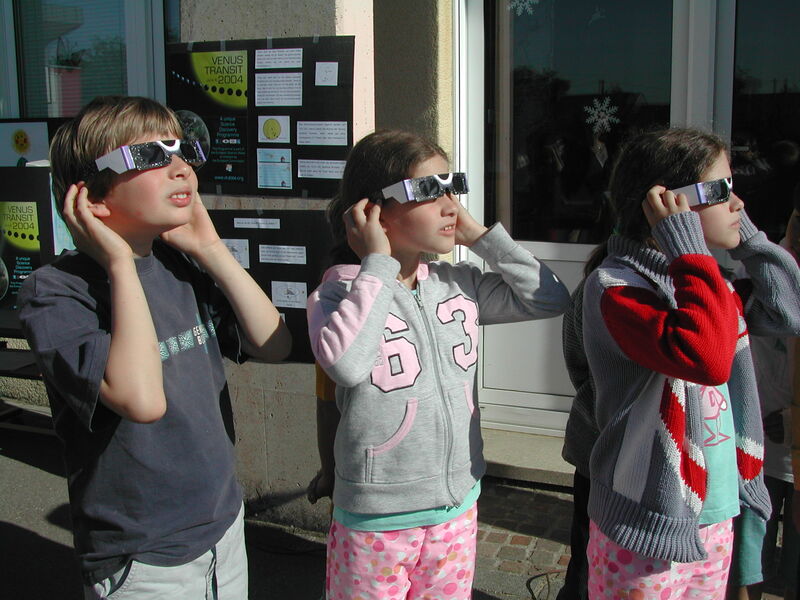 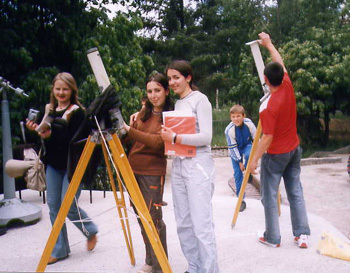 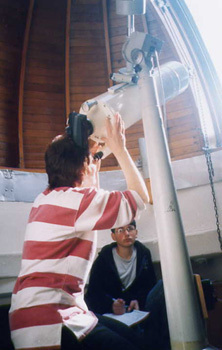 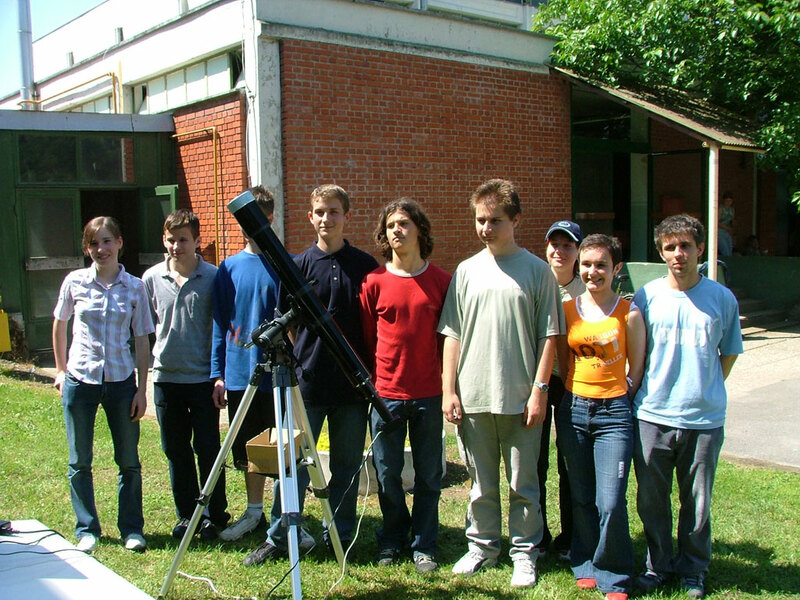 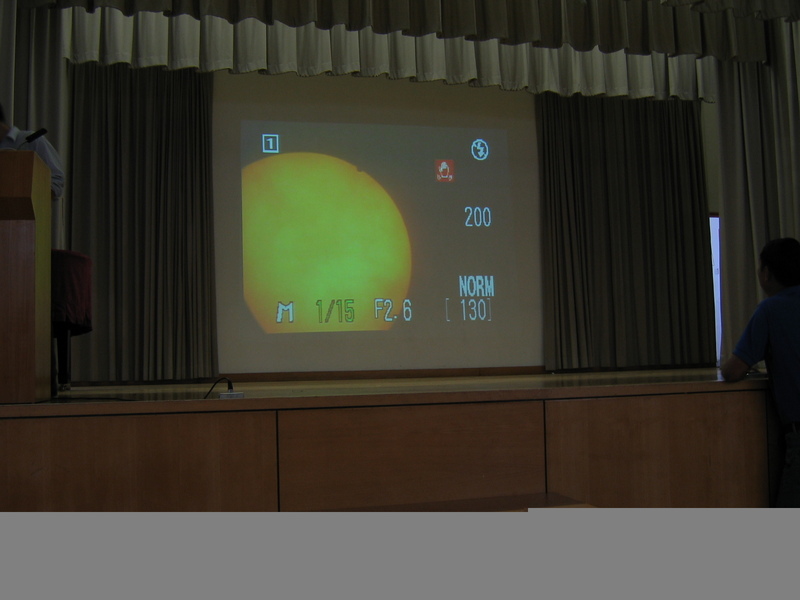 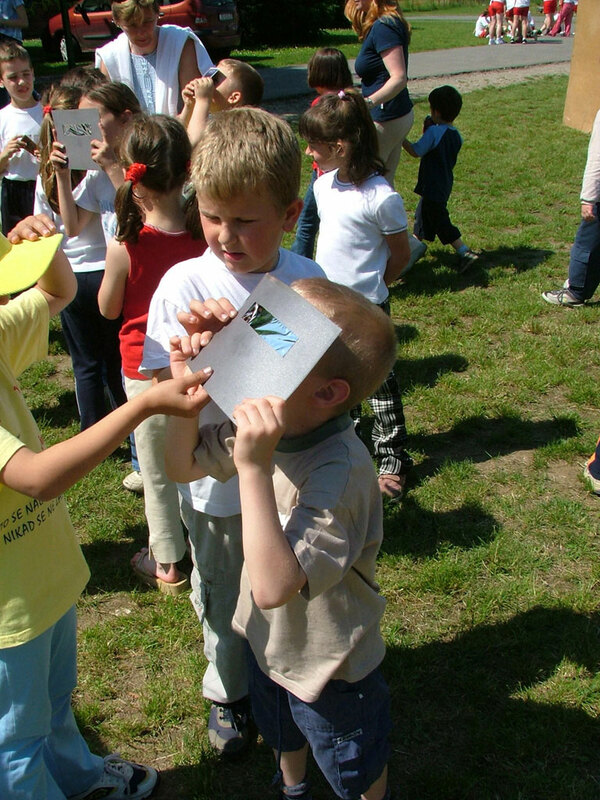 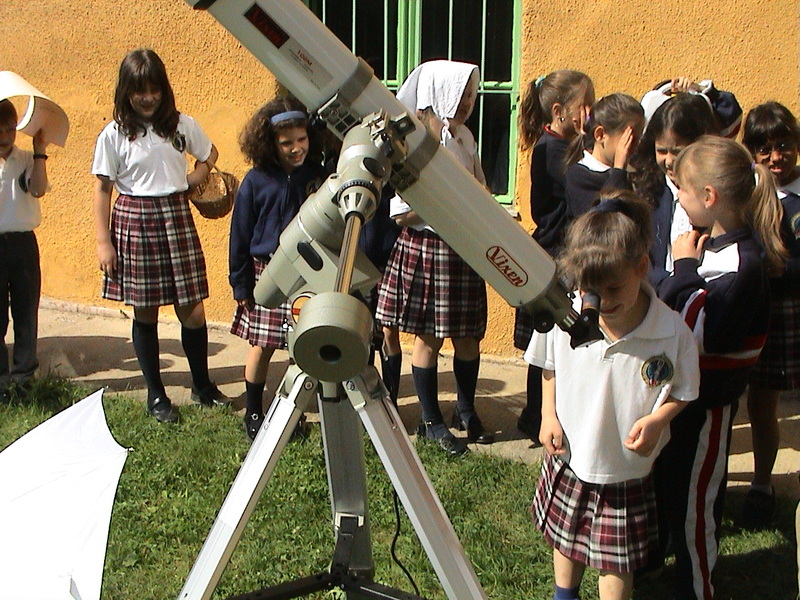 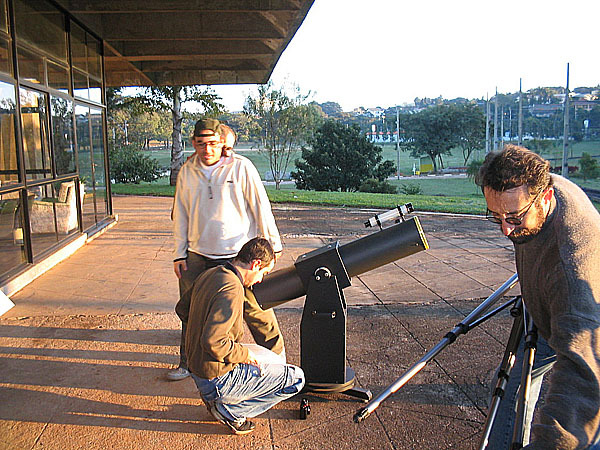 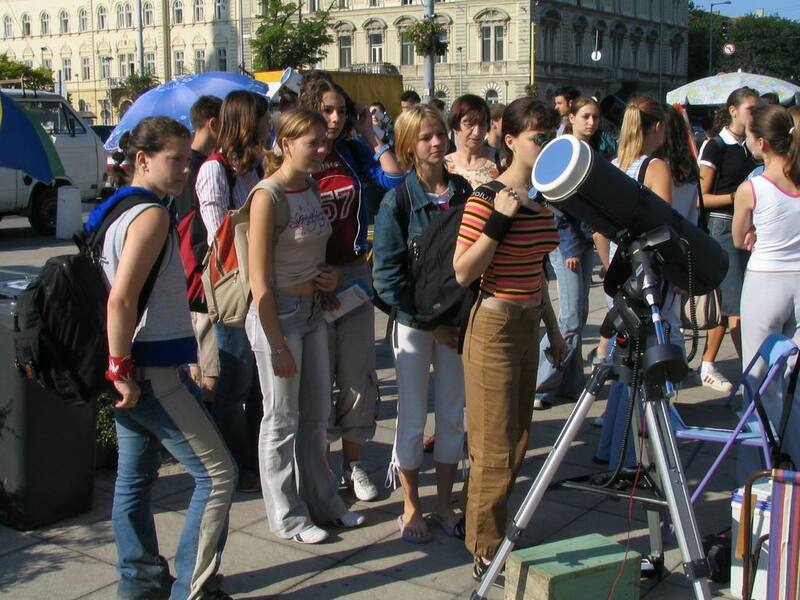 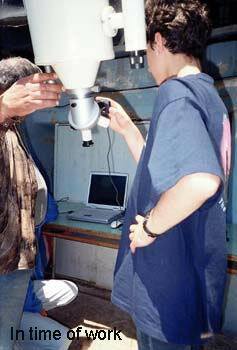 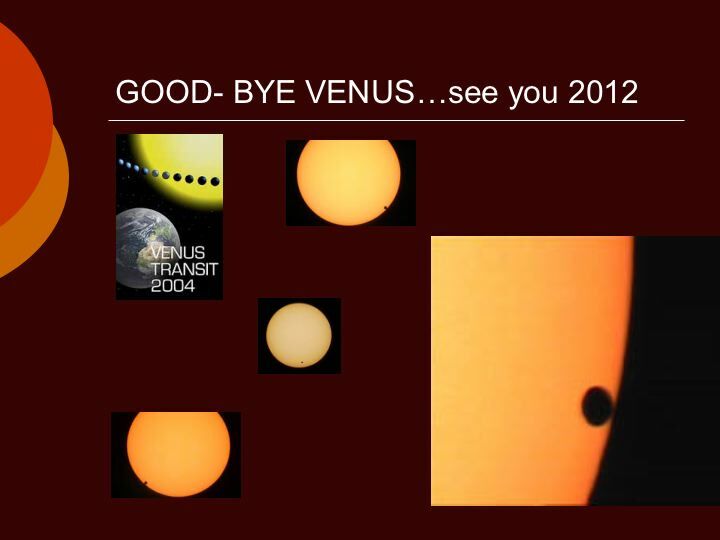 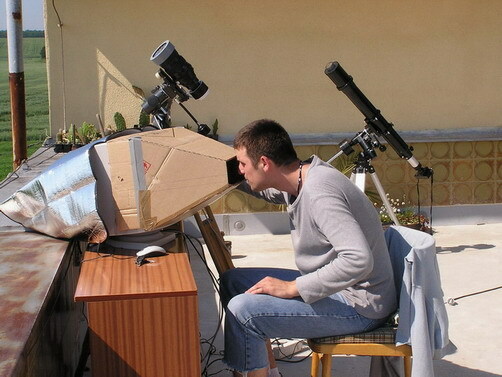 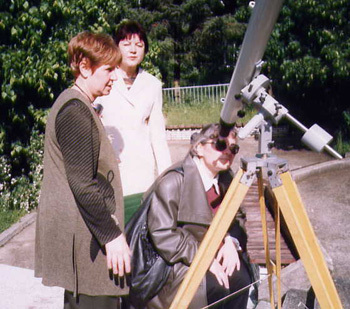 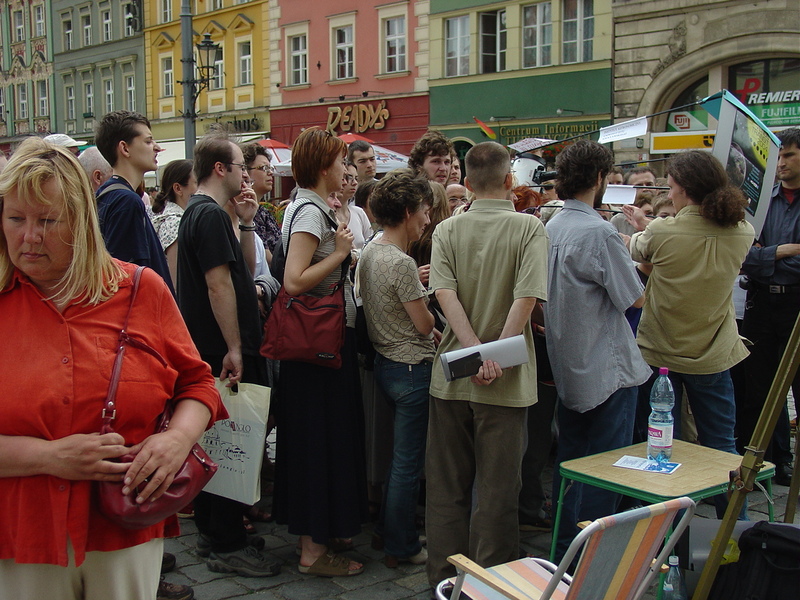 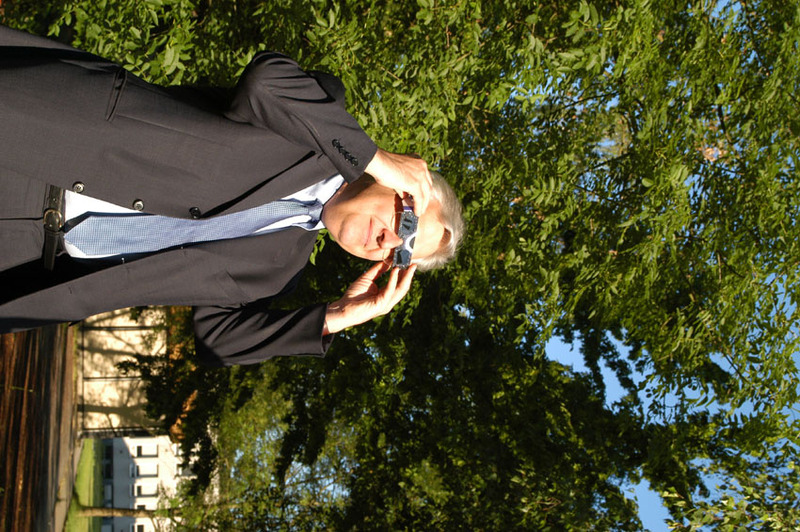 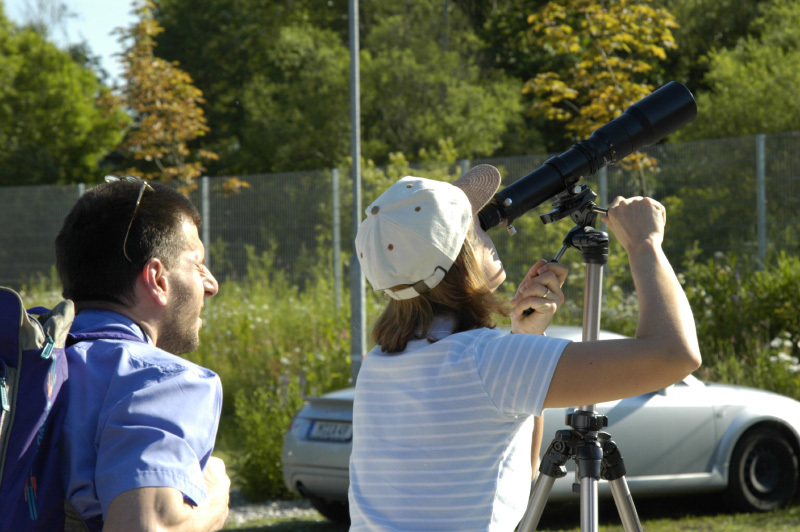 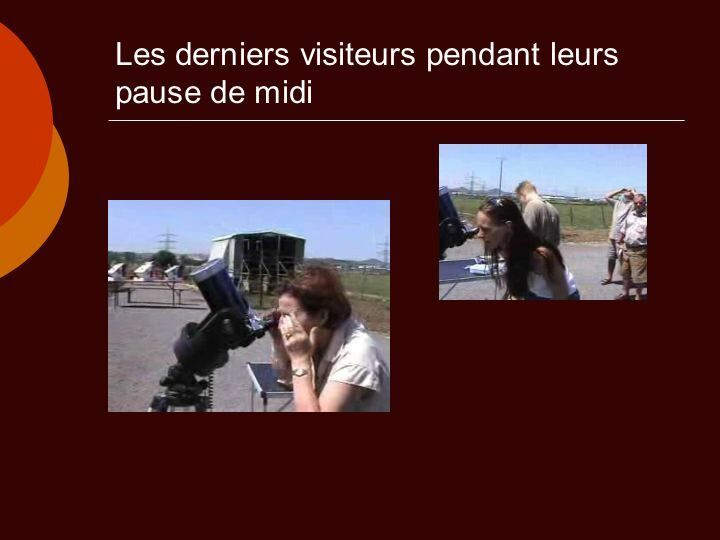 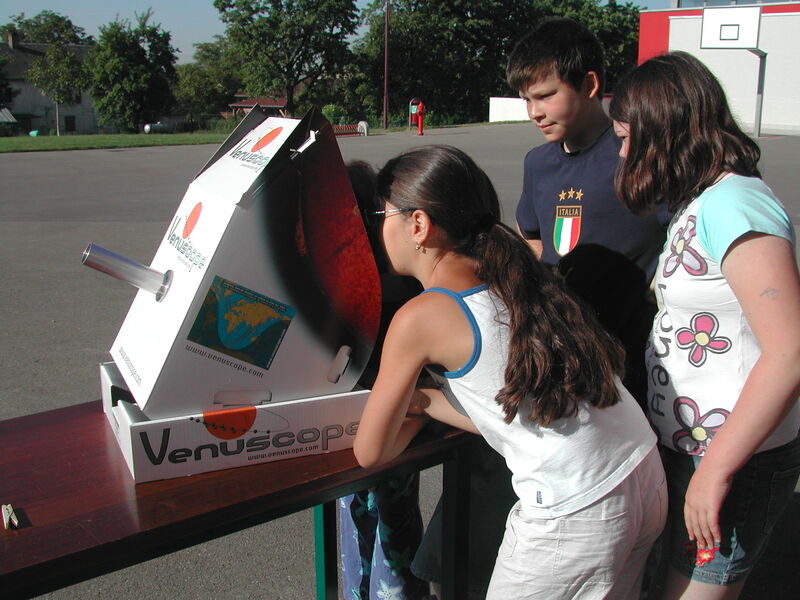 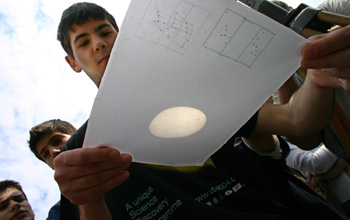 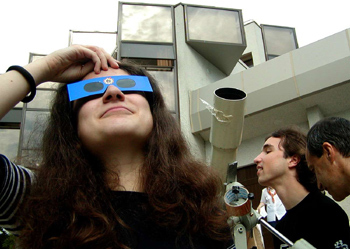 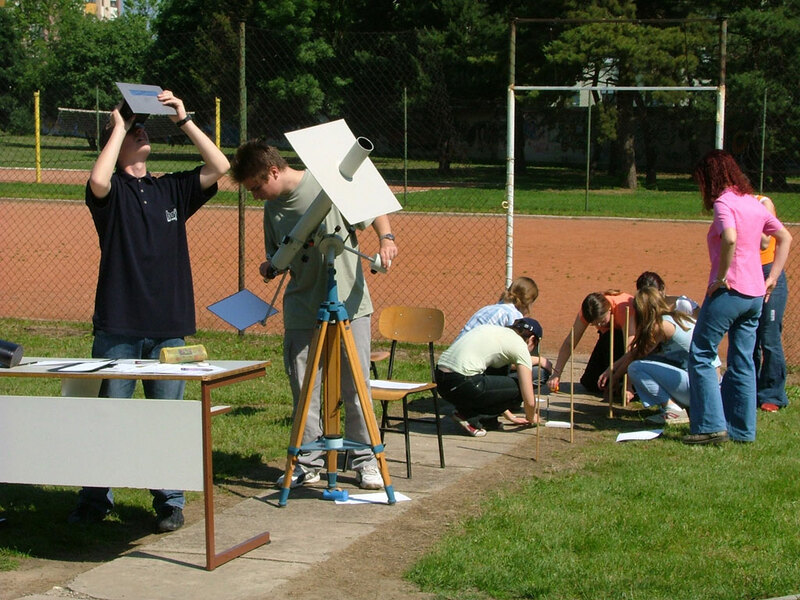 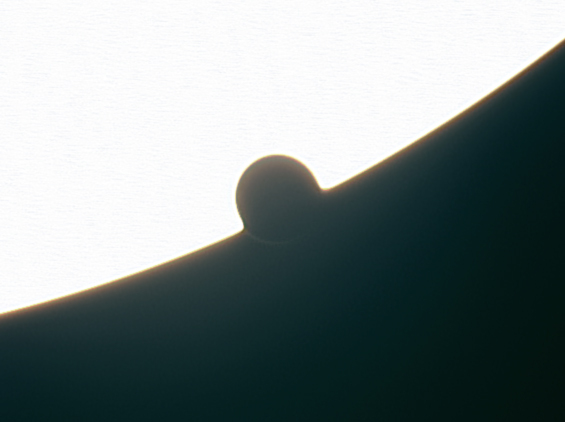 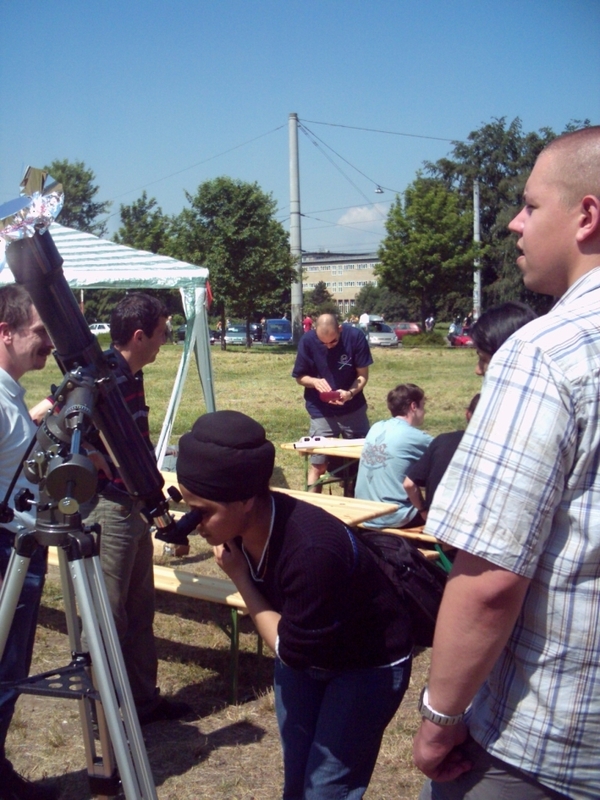 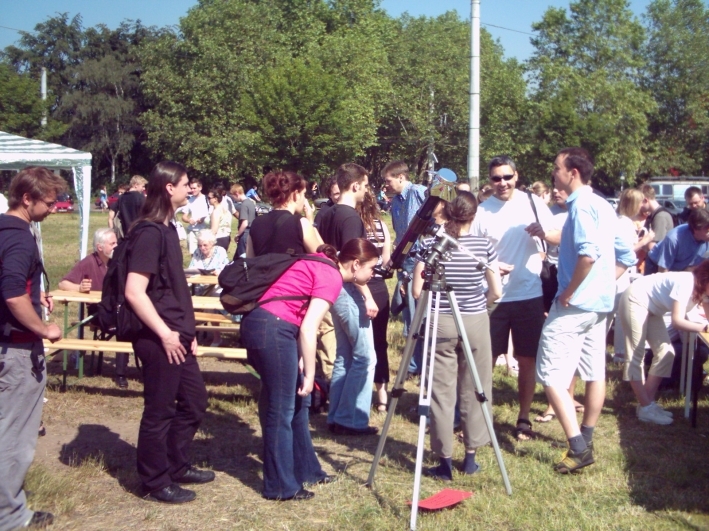 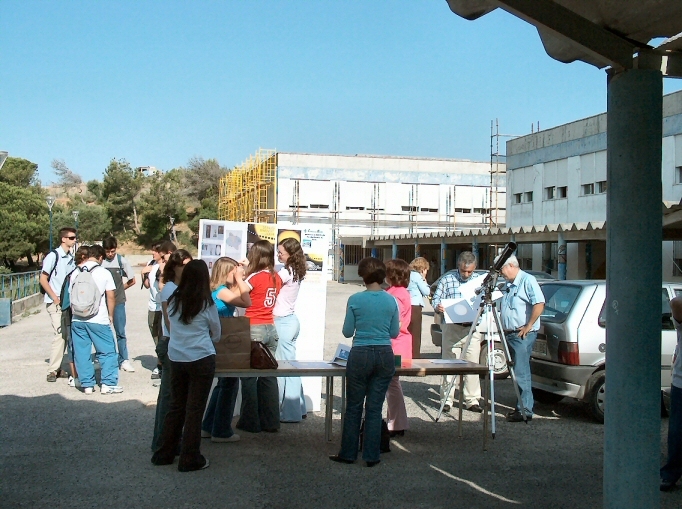 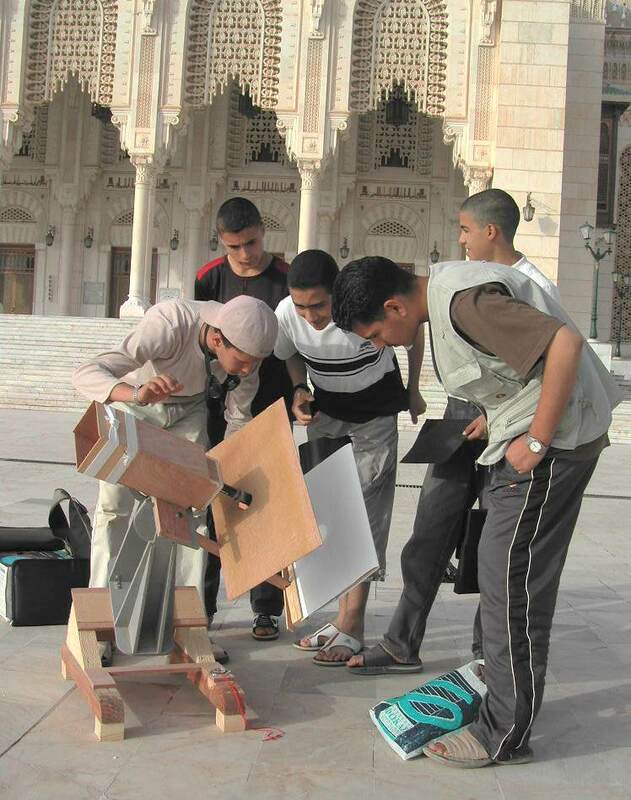 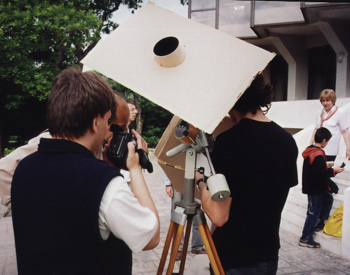 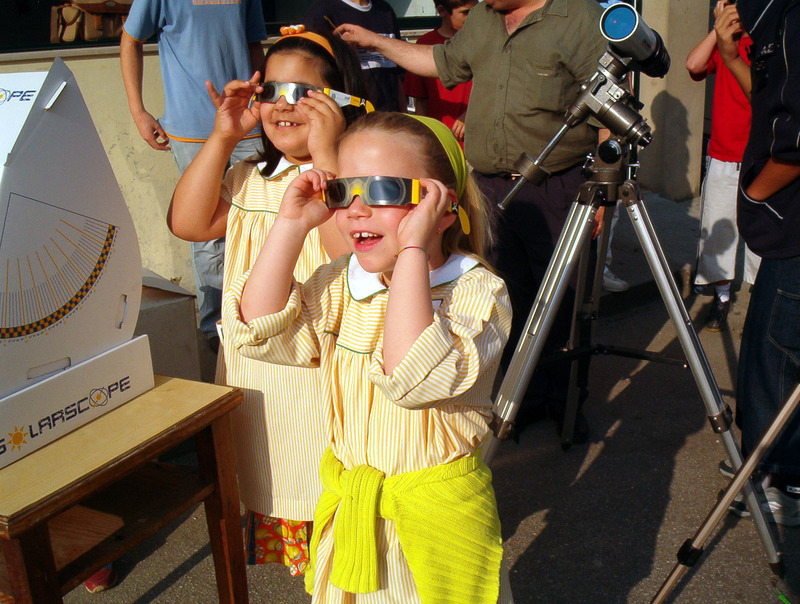 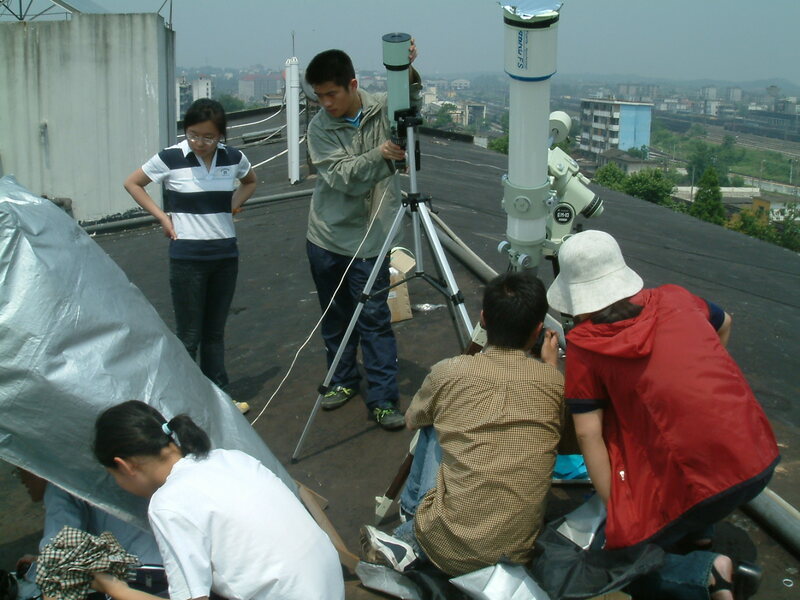 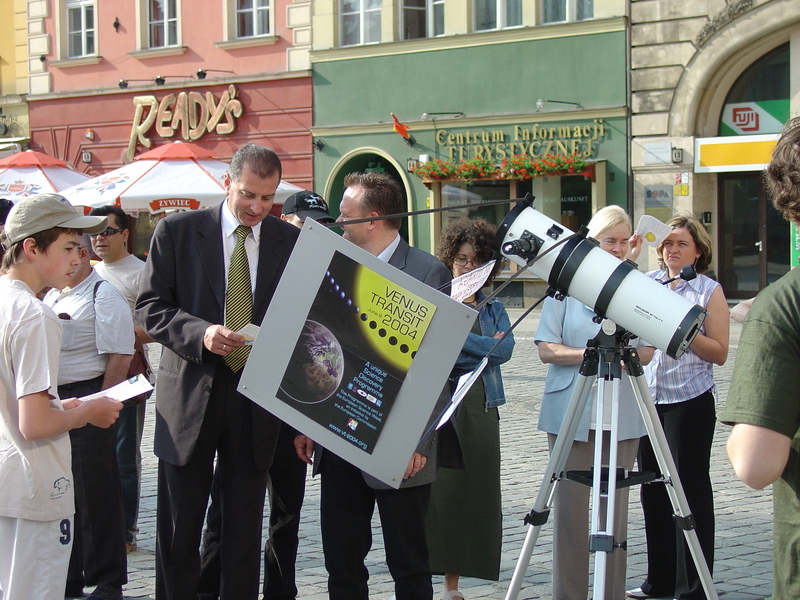 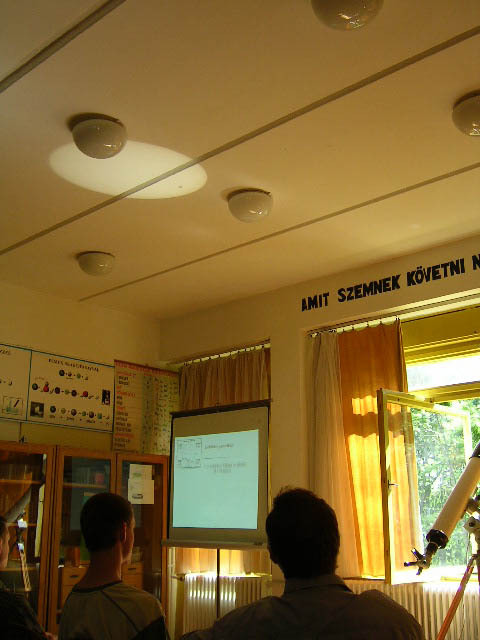 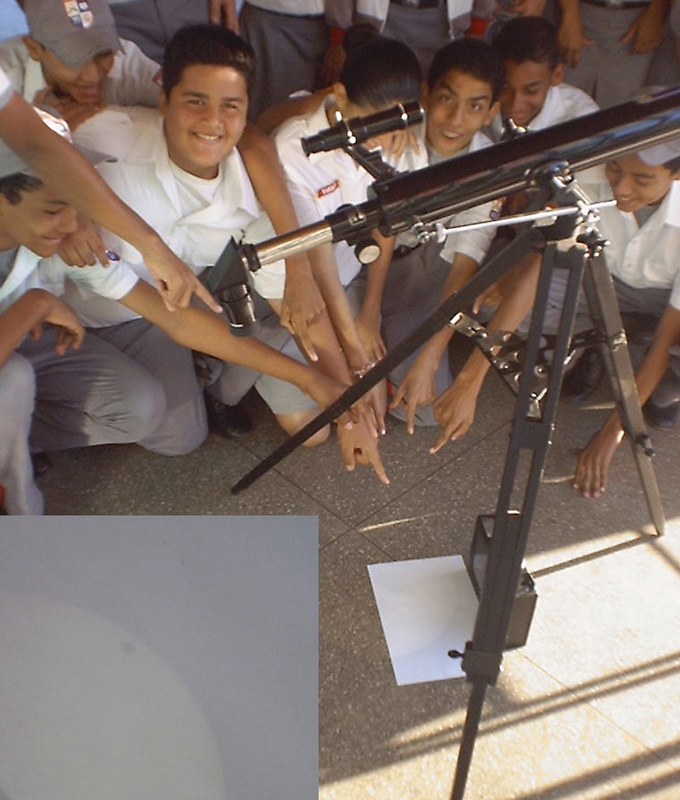 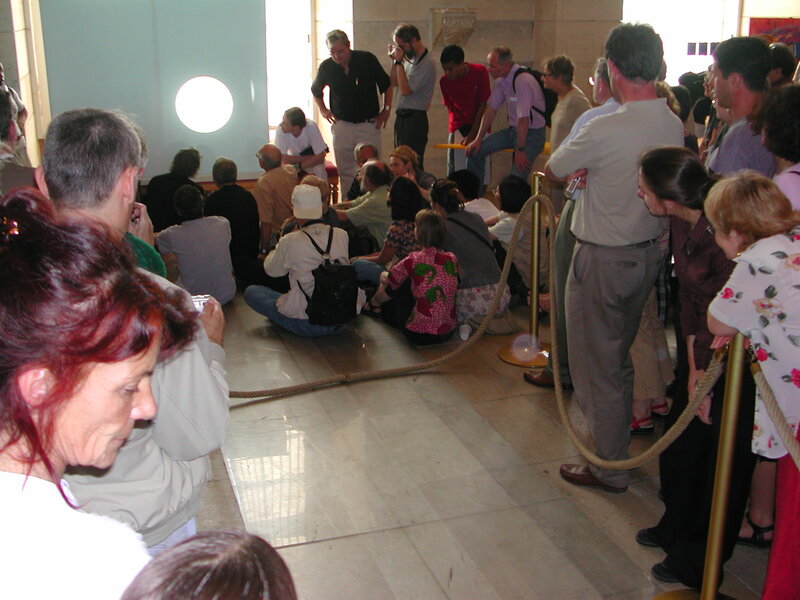 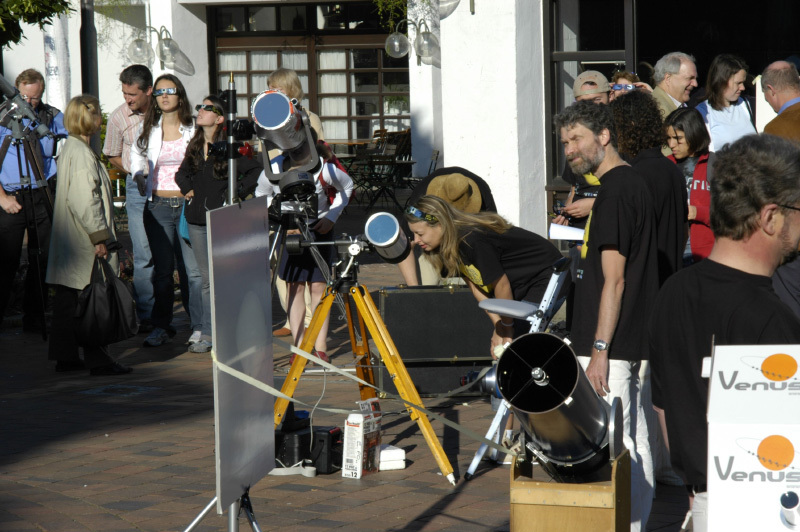 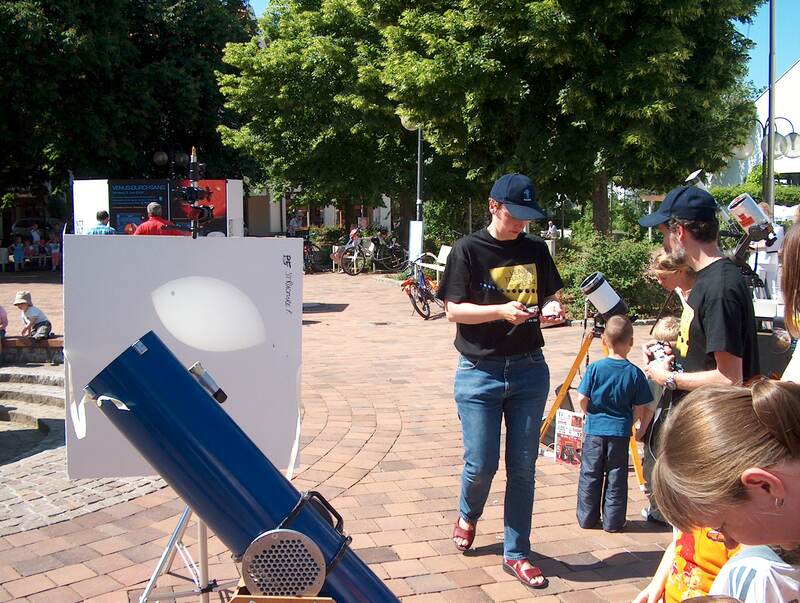 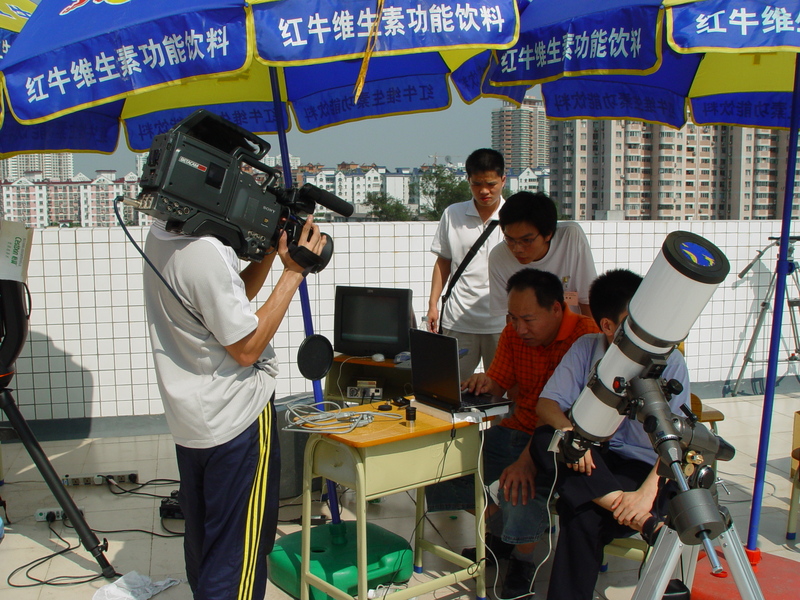 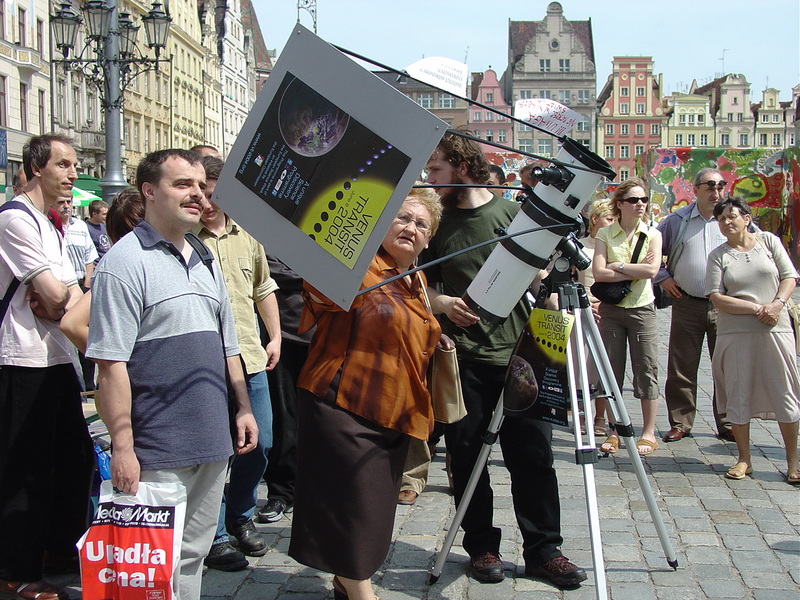 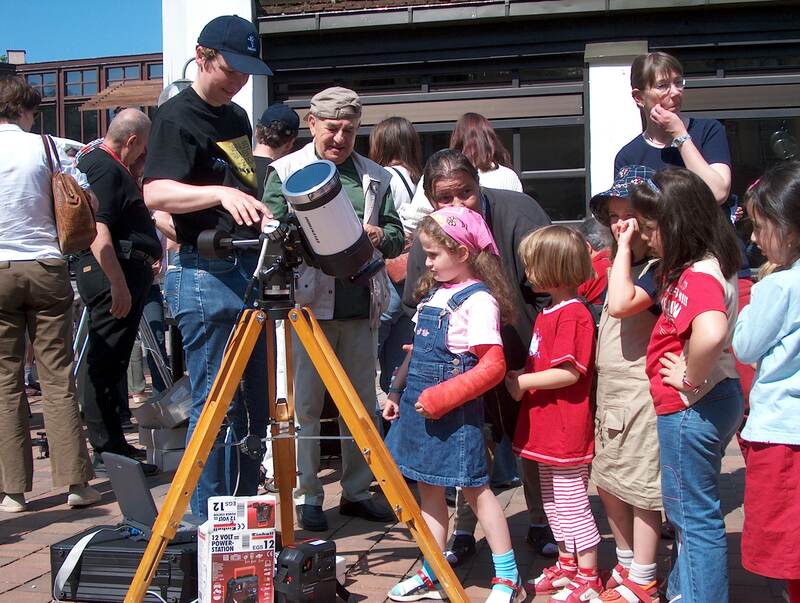 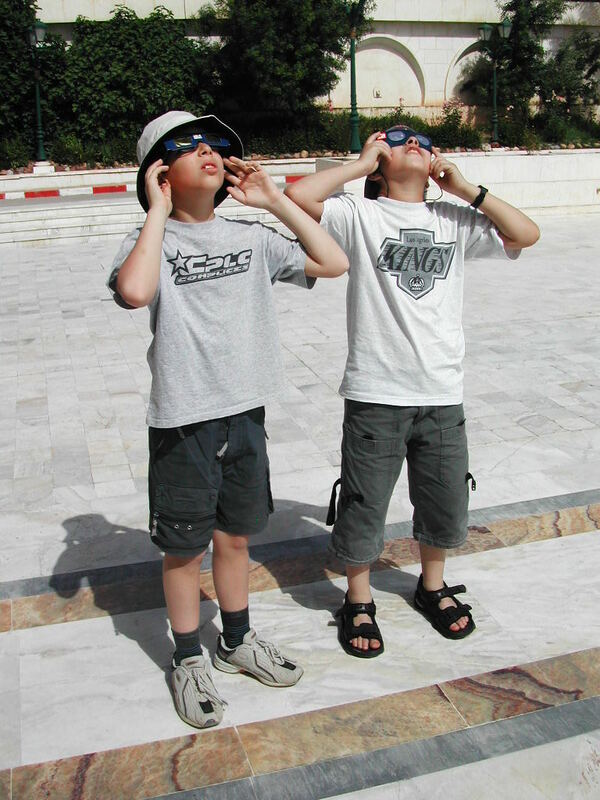 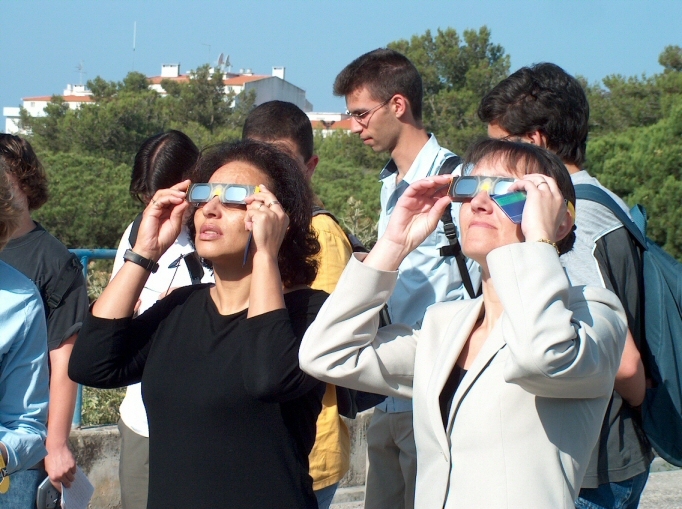 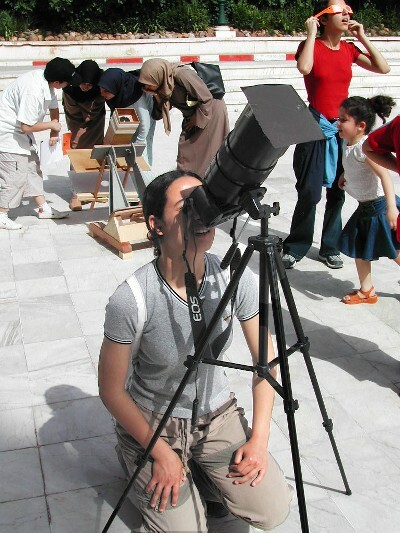 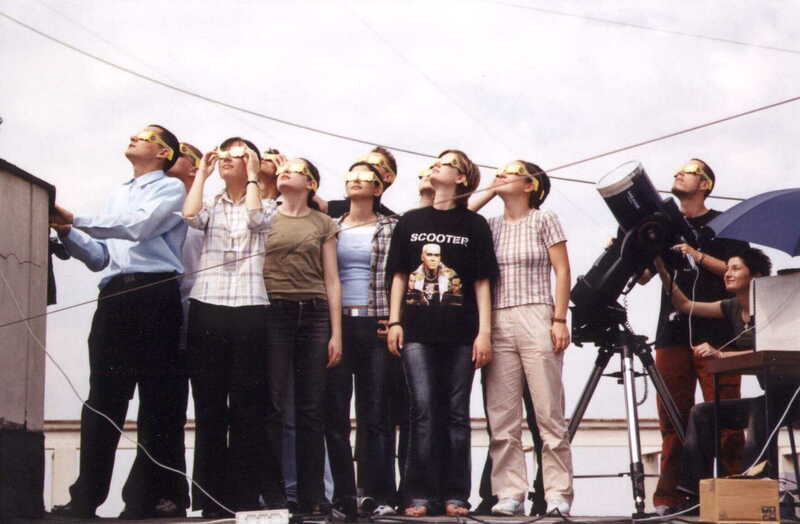 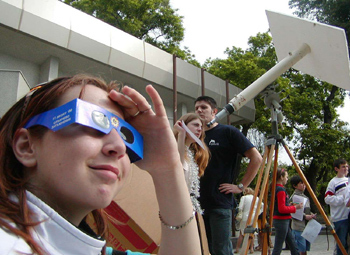 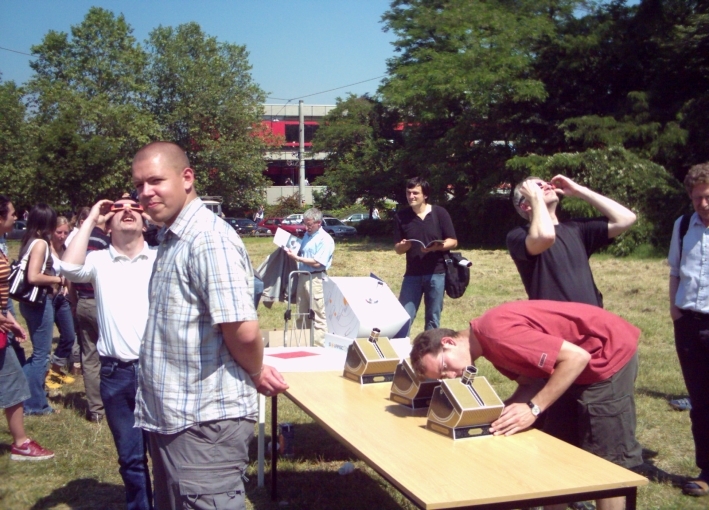 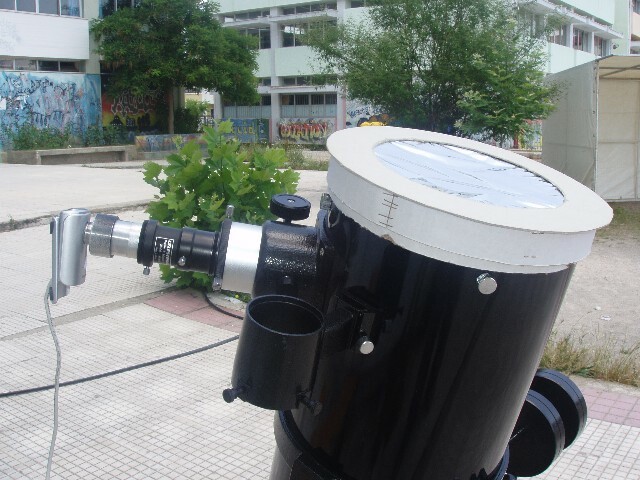 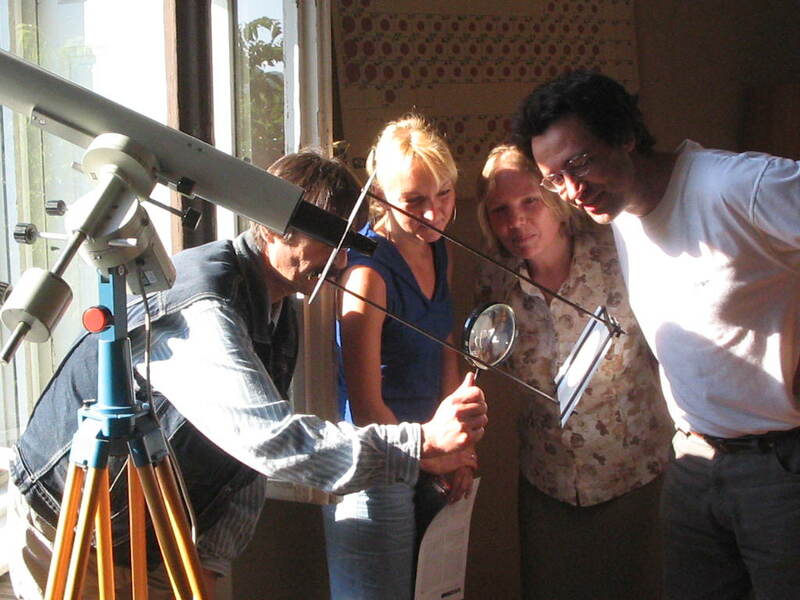 During the Venus Transit, observing sessions were held in many places. 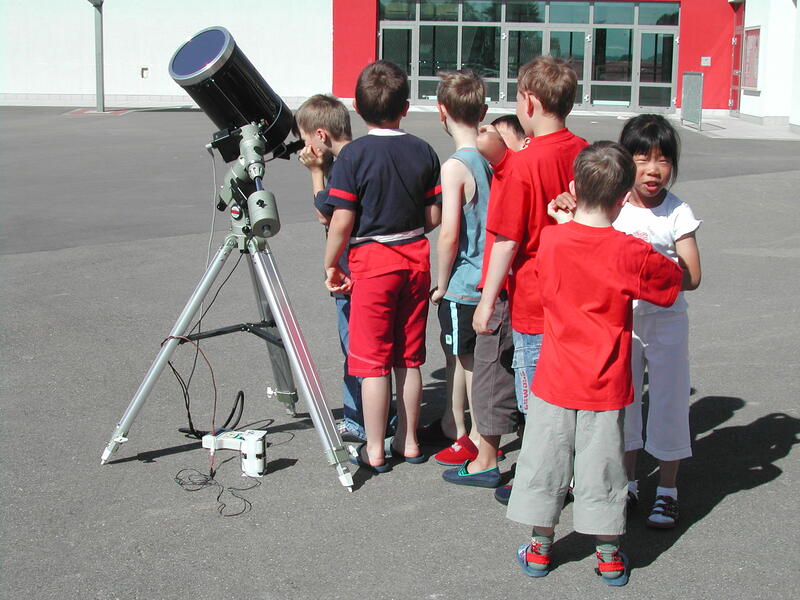 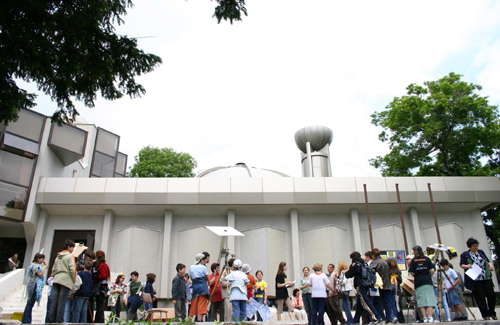 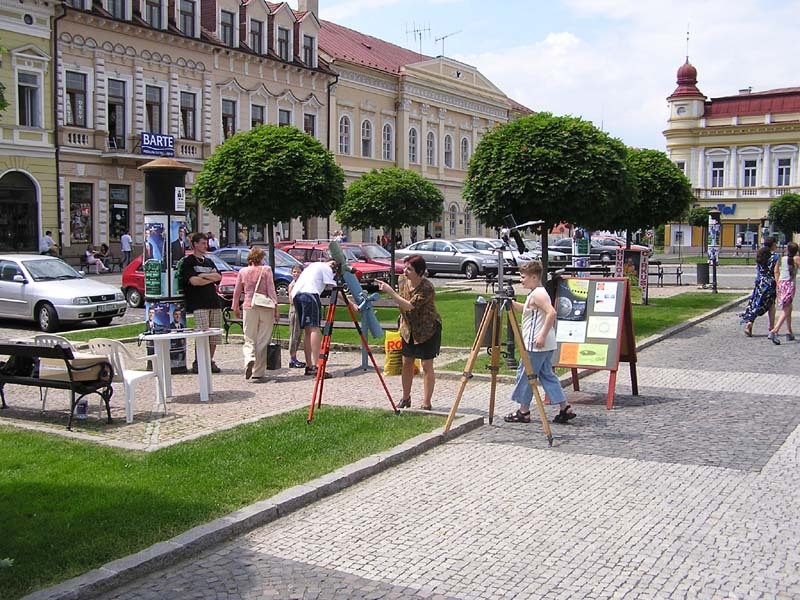 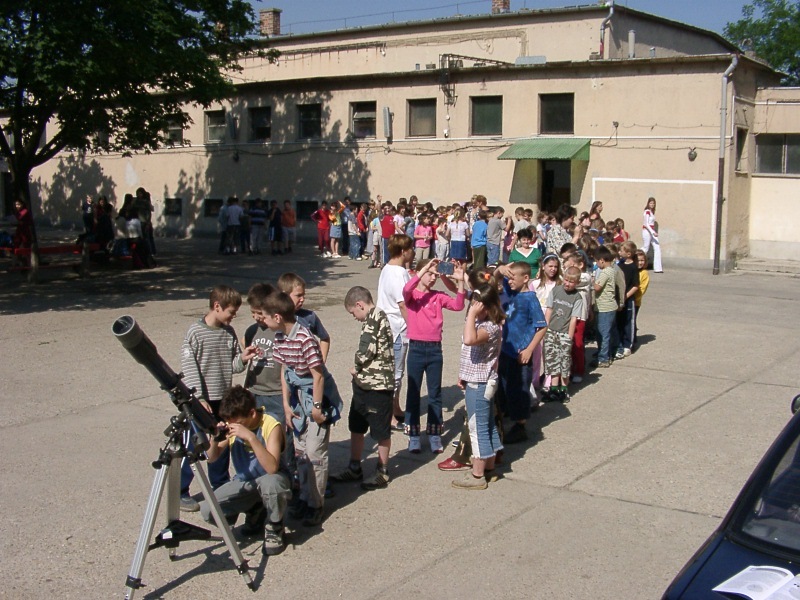 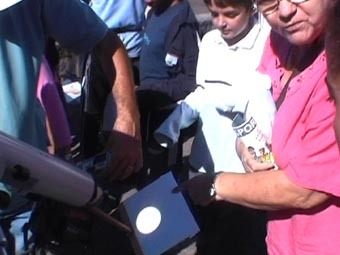 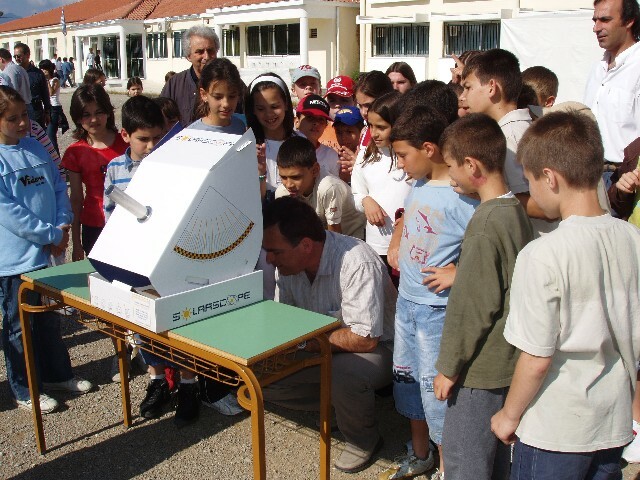 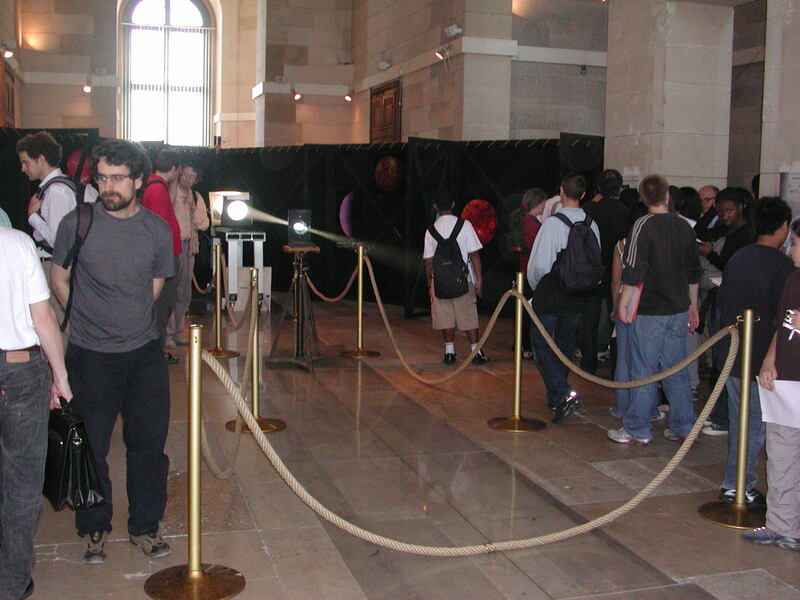 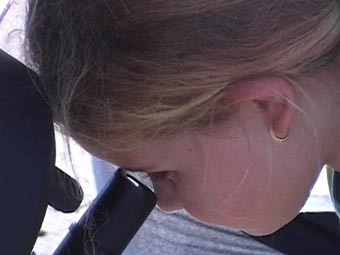 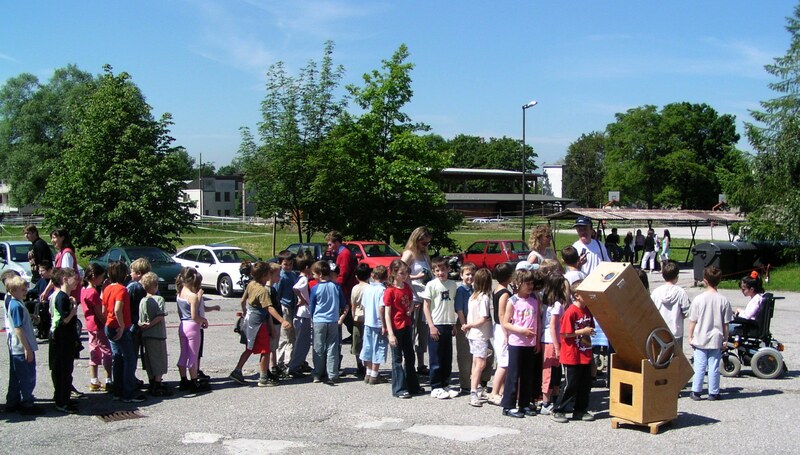 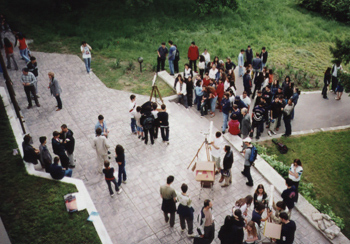 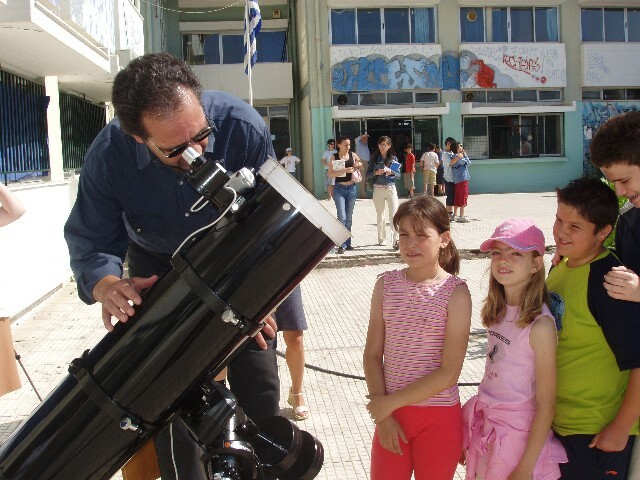 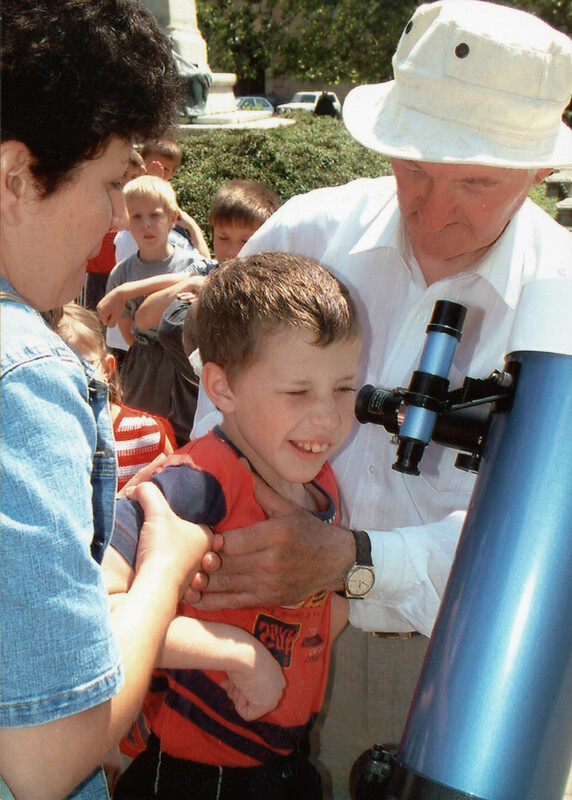 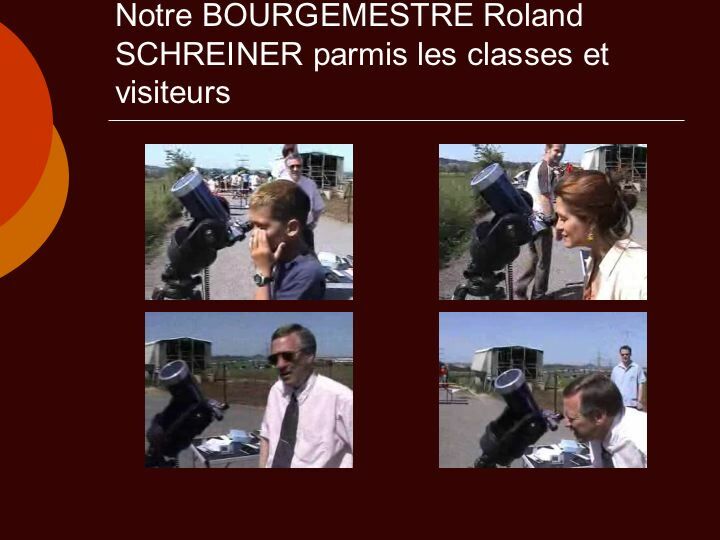 Some of these events were public showings in town squares, at professional or amateur observatories, others took place in schools, at planetaria, in science centers, etc. 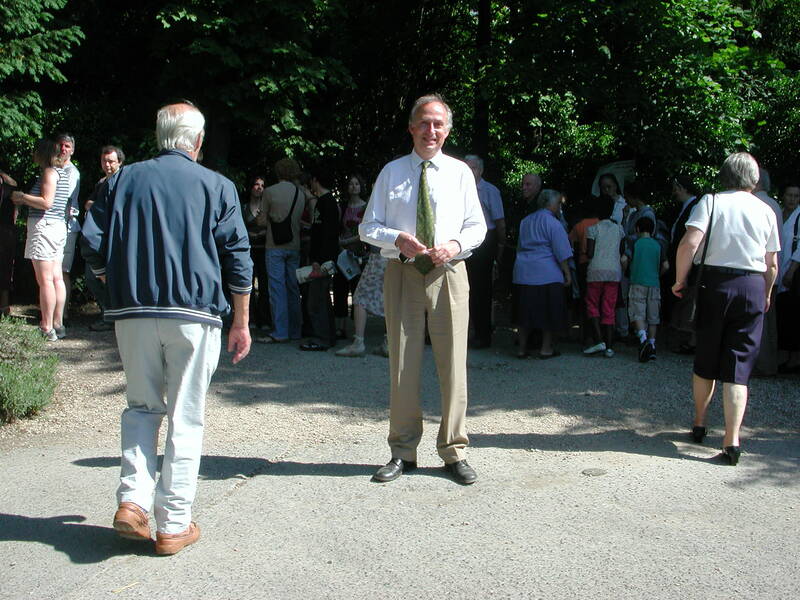 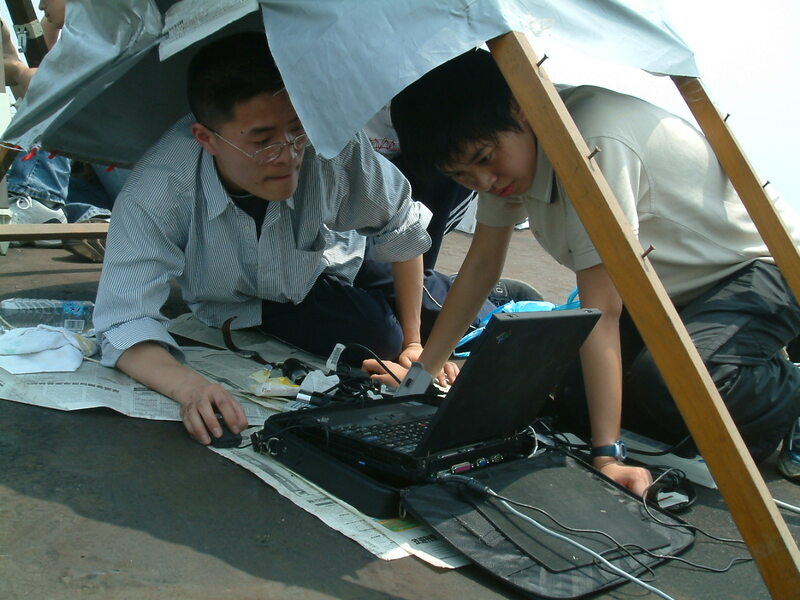 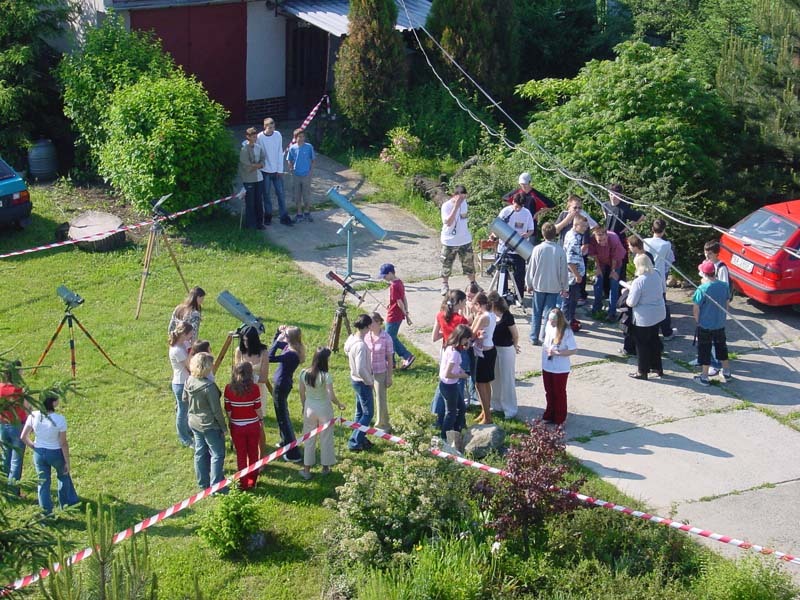 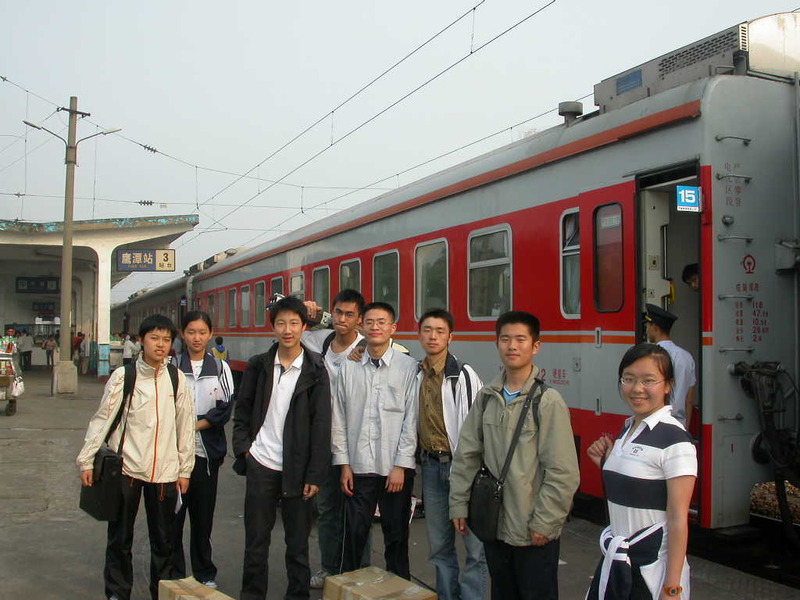 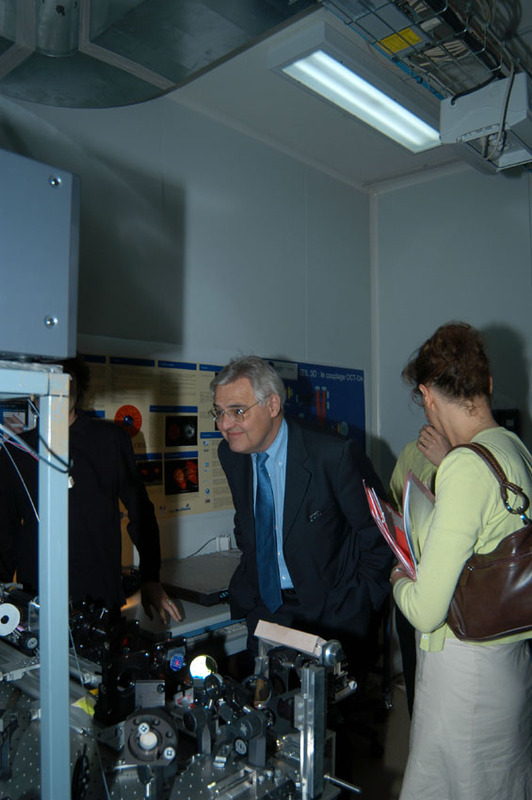 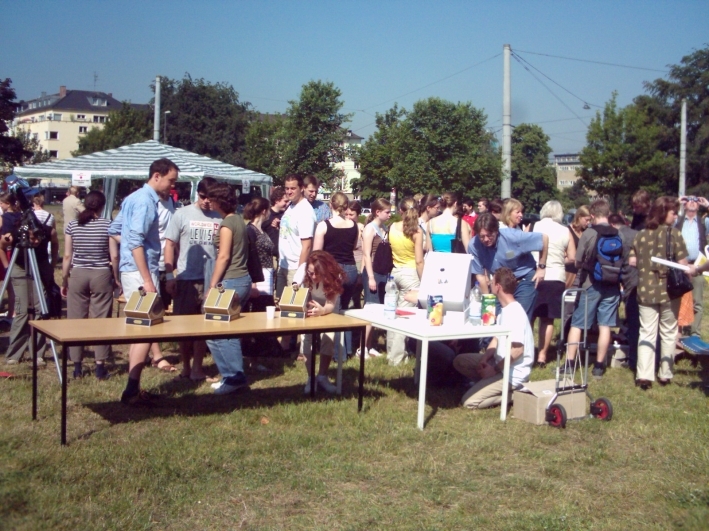 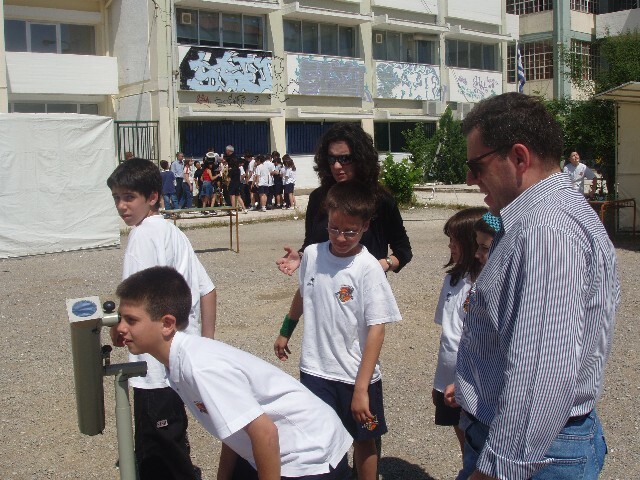 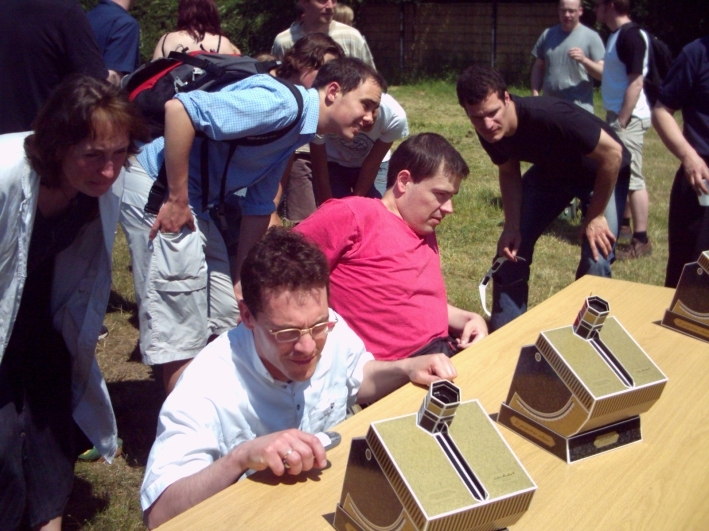 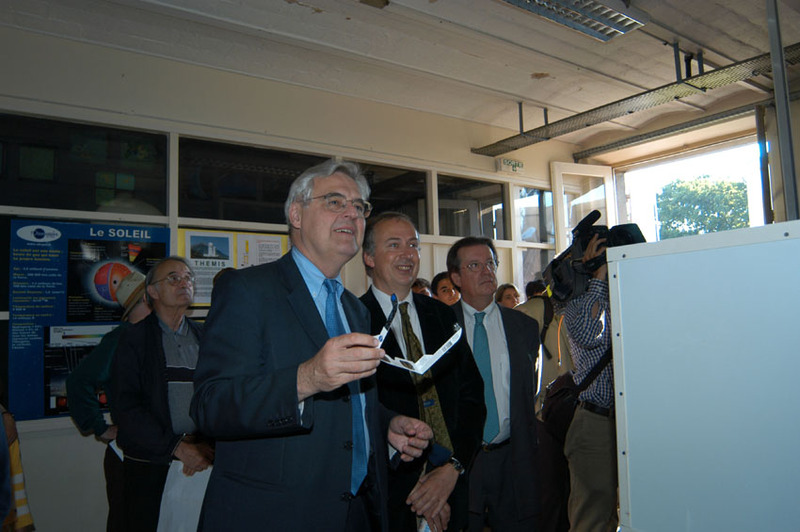 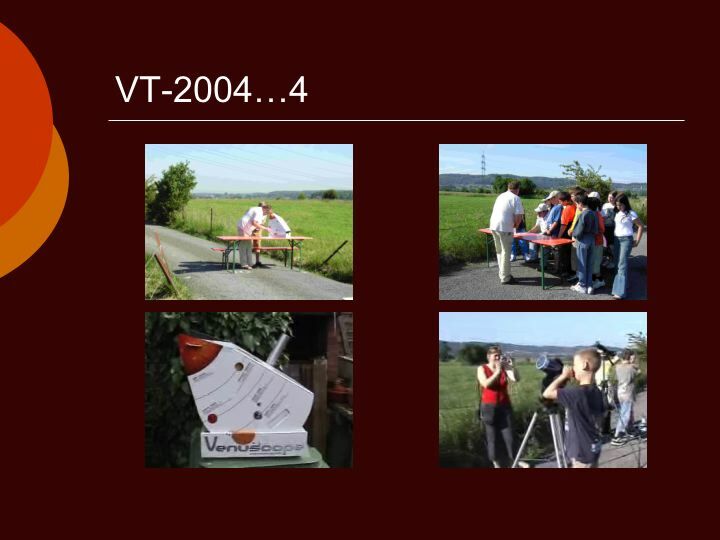 Photos from these events are normally available at the websites of the respective organisers, many of which are VT-2004 Network Members or VT-2004 National Nodes. 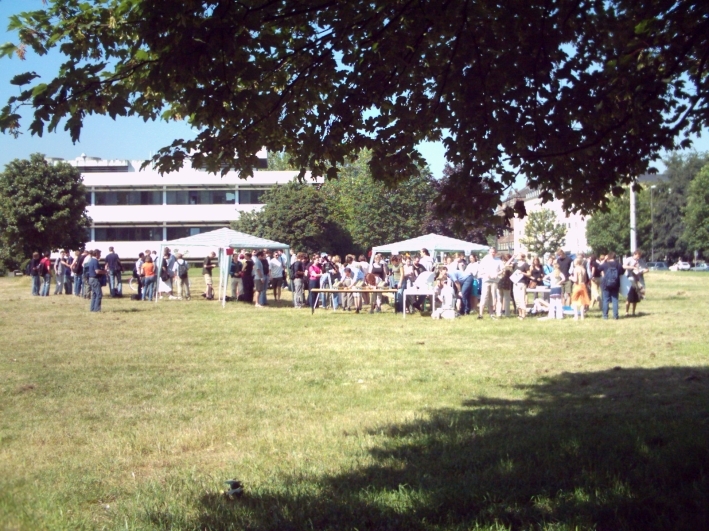 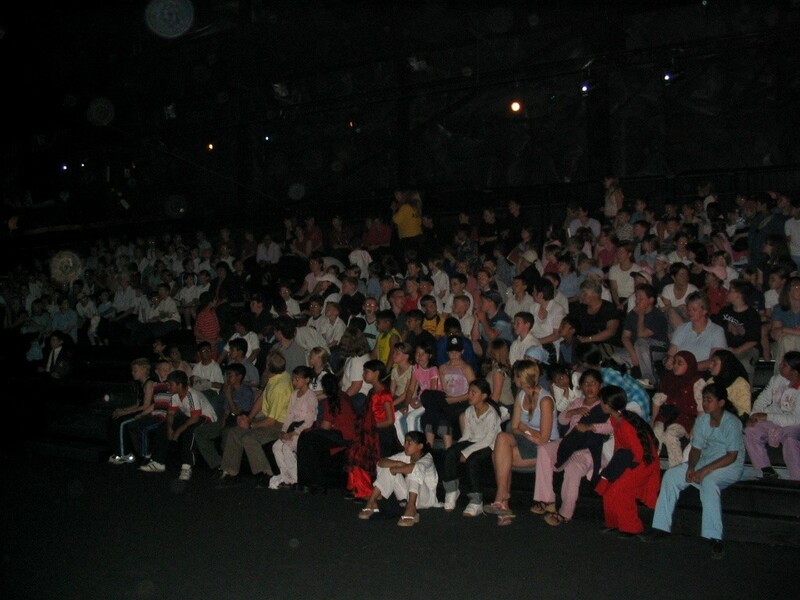 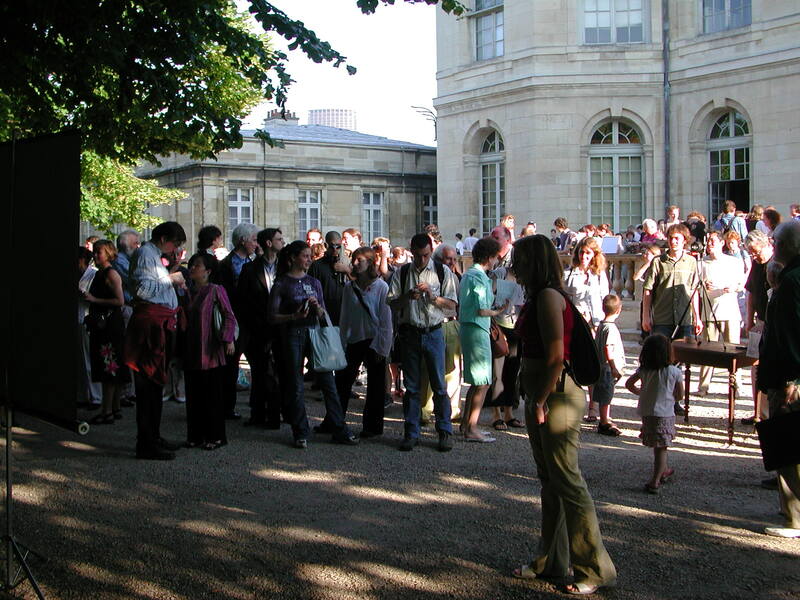 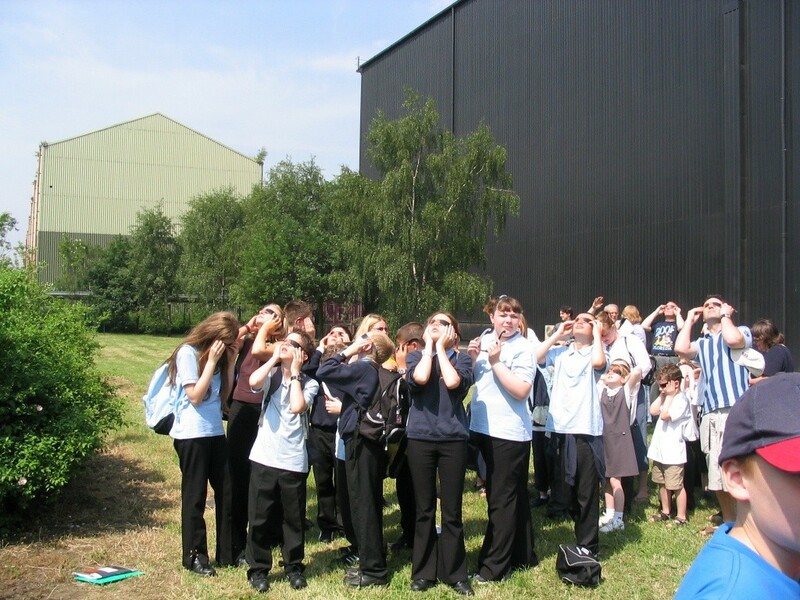 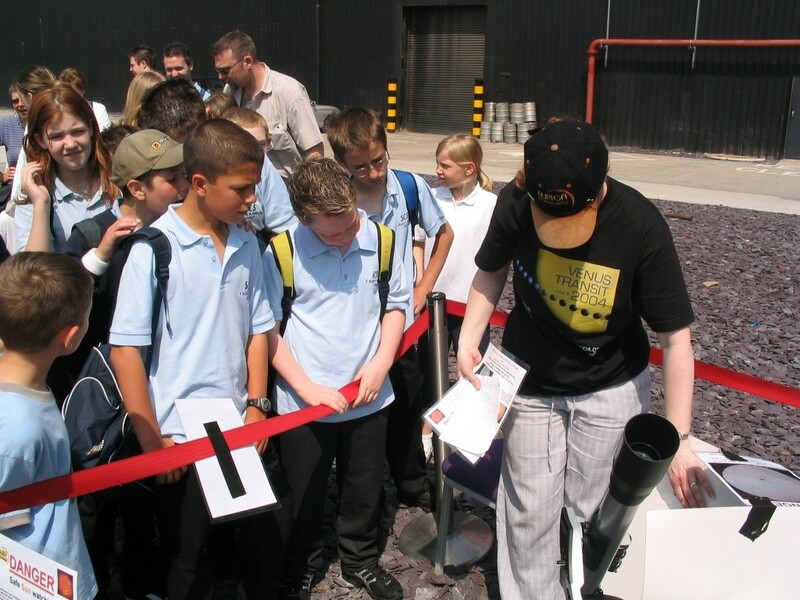 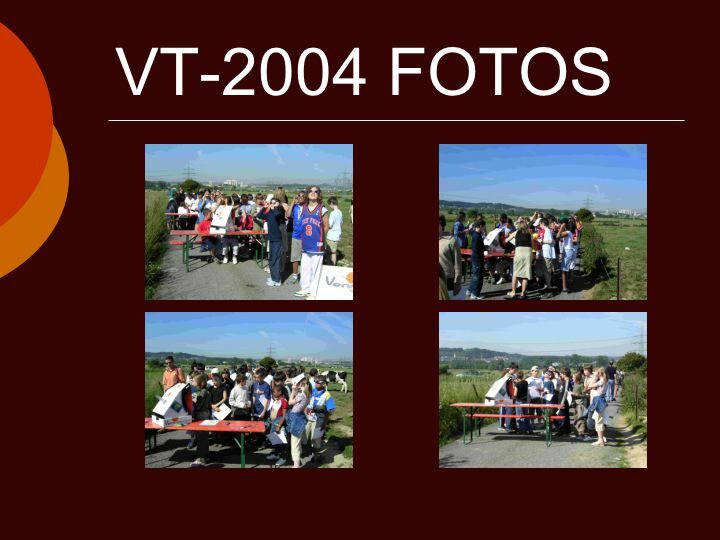 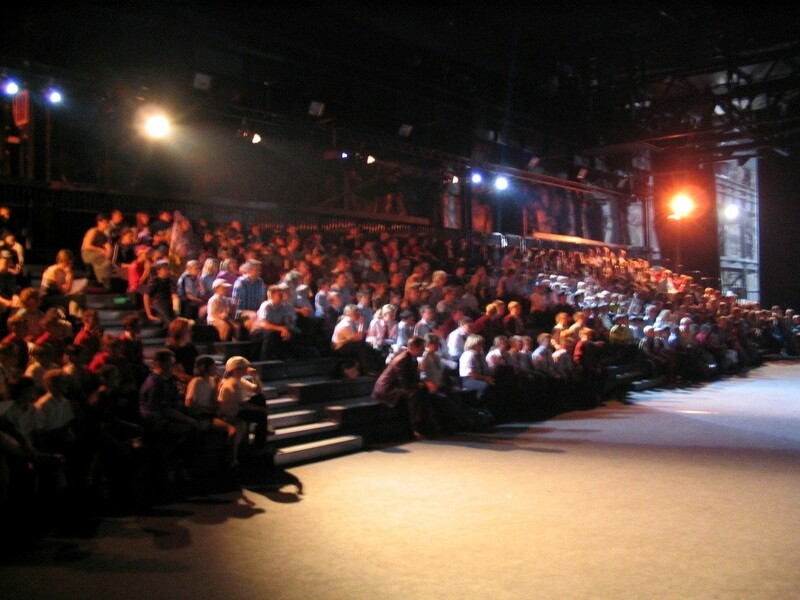 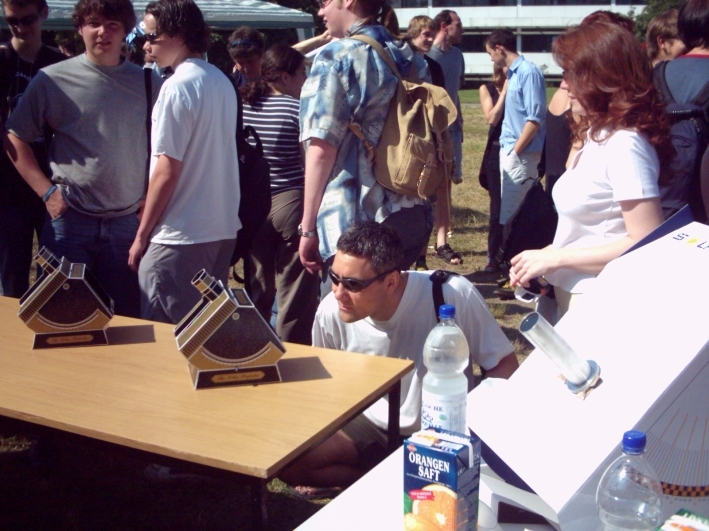 Some organisers have sent photos from these events to the VT-2004 programme - they are now stored at the VT-2004 website and can be accessed via the list below on which the location and the organisers of the event are indicated. 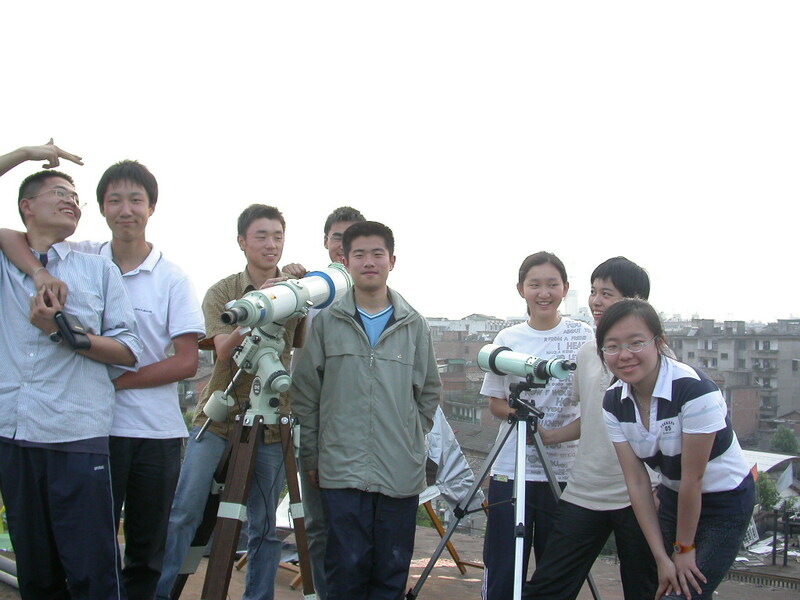 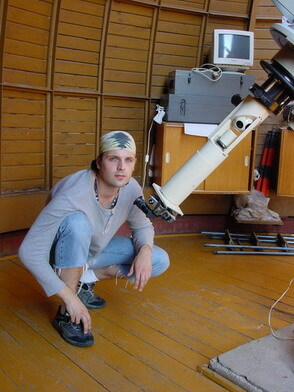 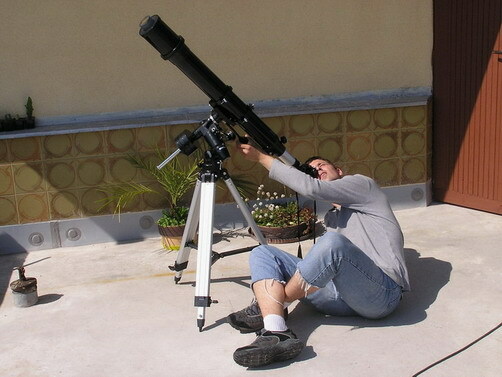 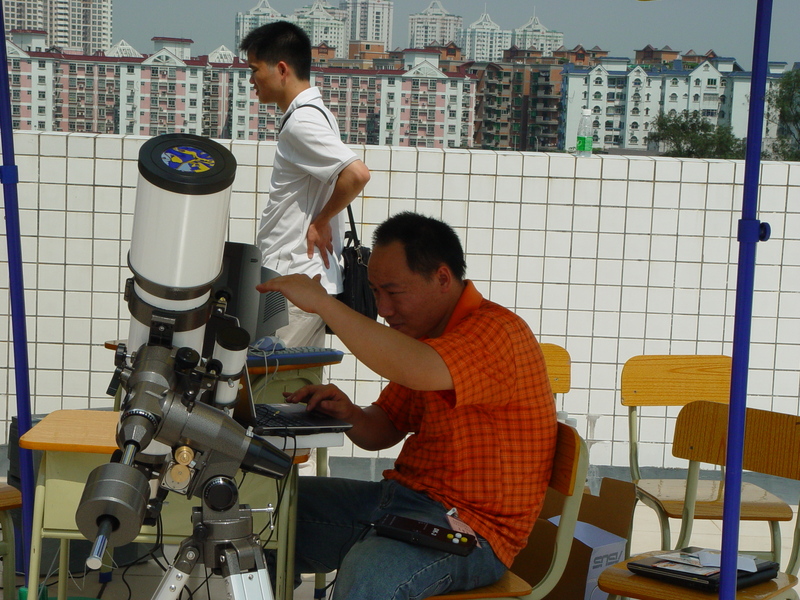 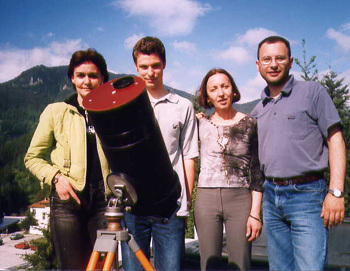 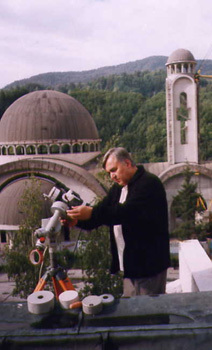 Astronomical images are available in the VT-2004 Photo Archive. 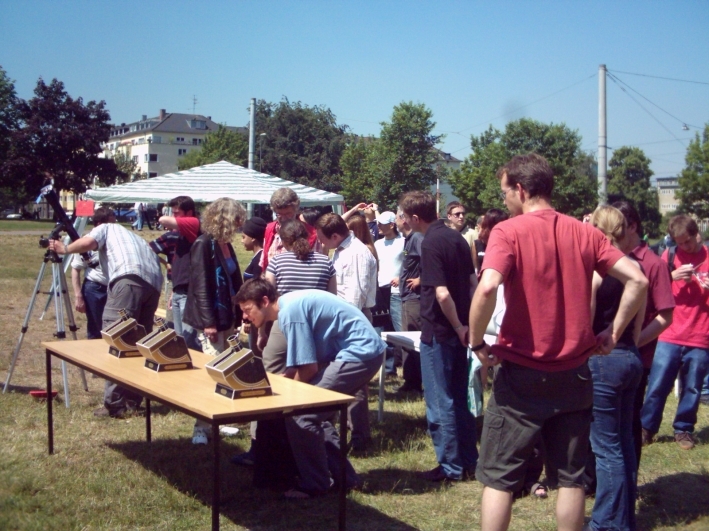 Proposals for images to be displayed here are welcome, but the VT-2004 organisers reserve the right to decide which photos will be shown. 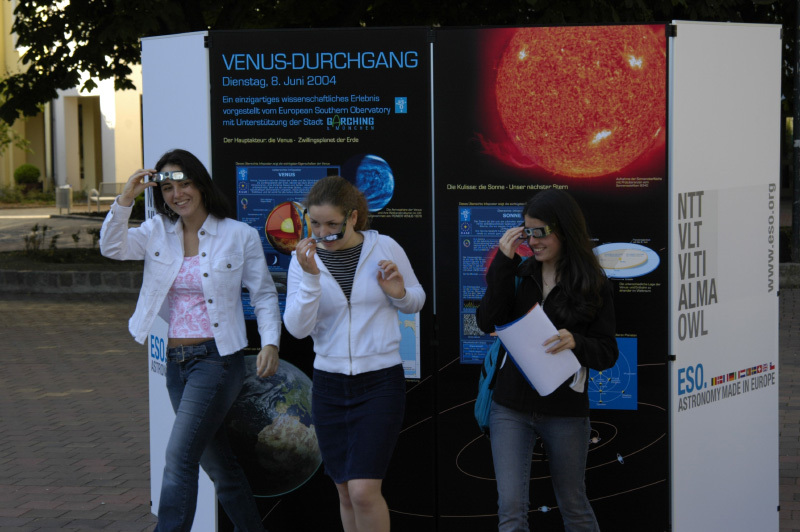 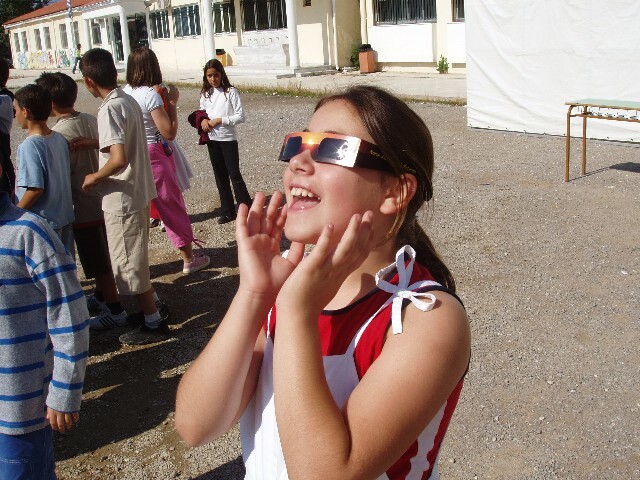 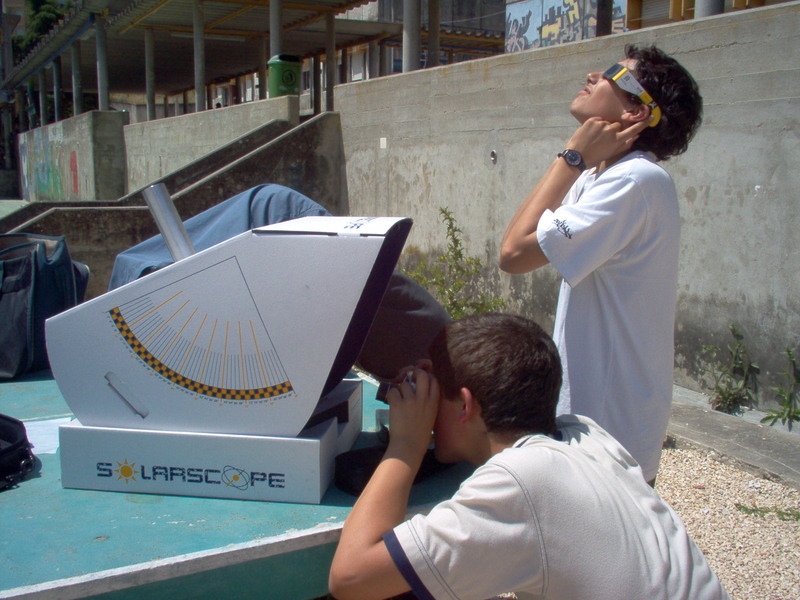 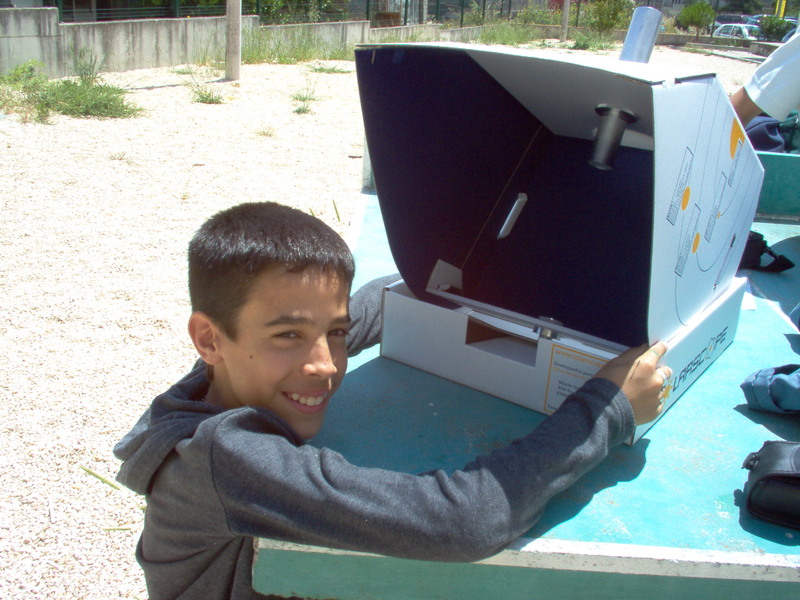 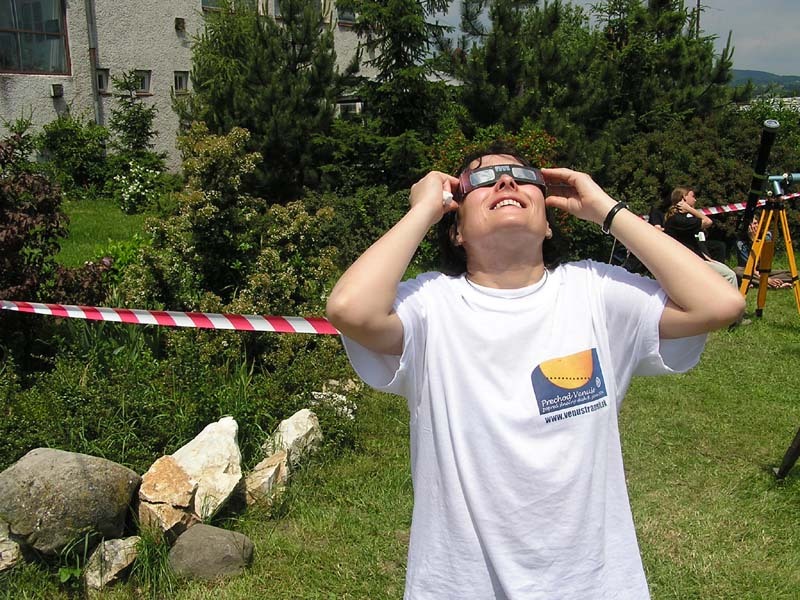 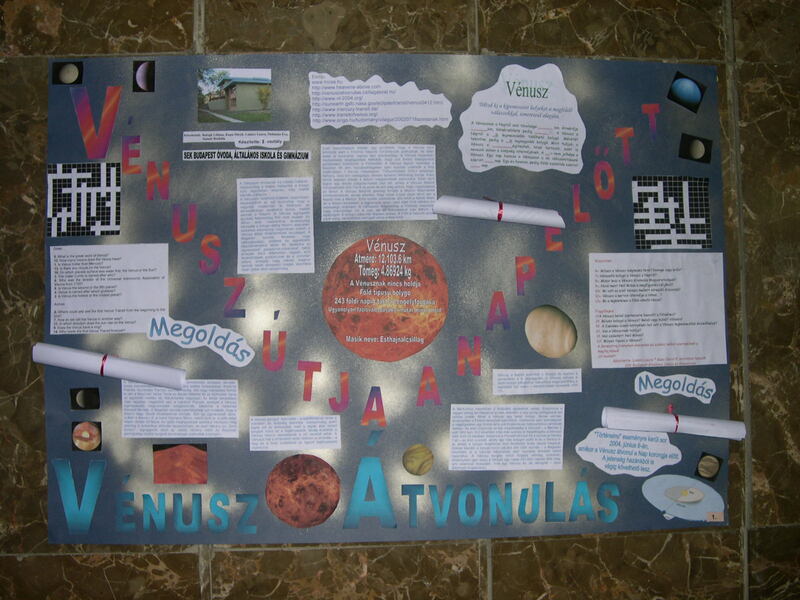 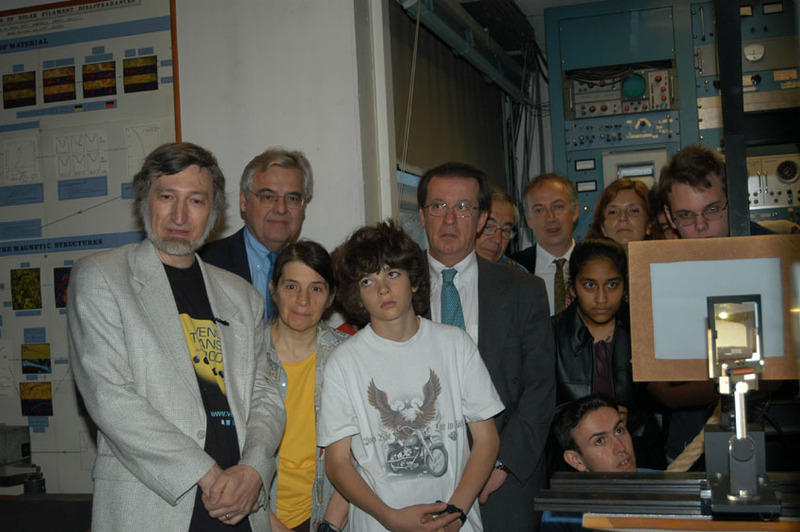 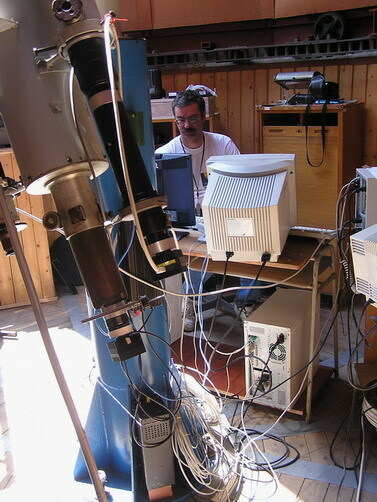 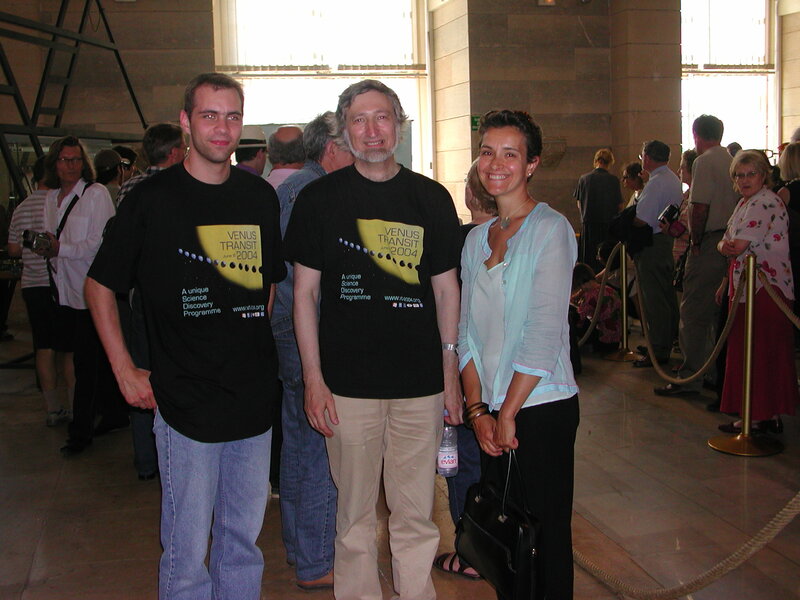 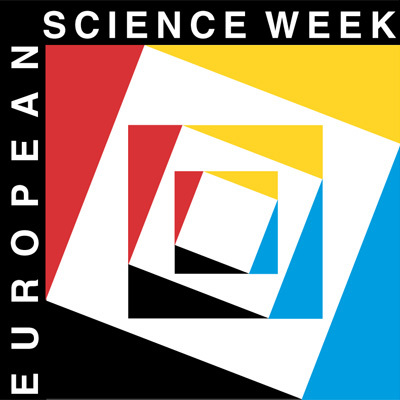 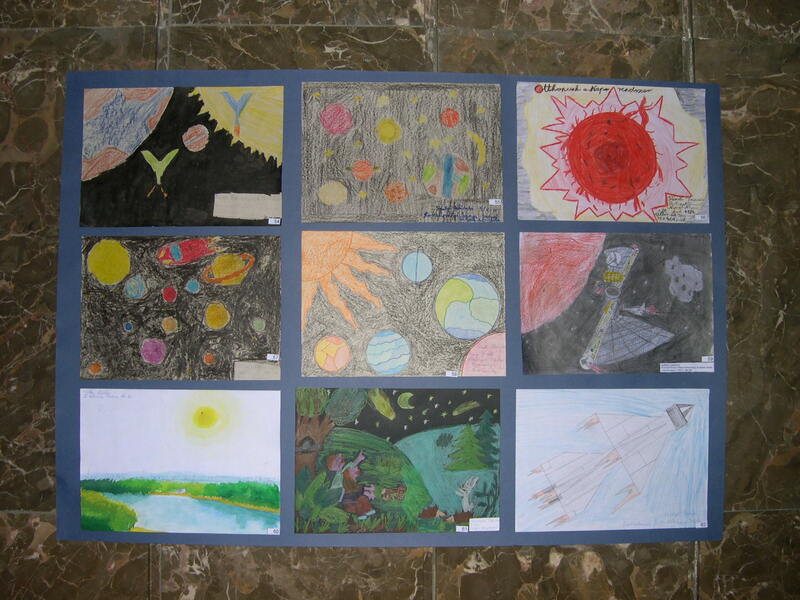 Send your photo by email to vt-2004@eso.org. 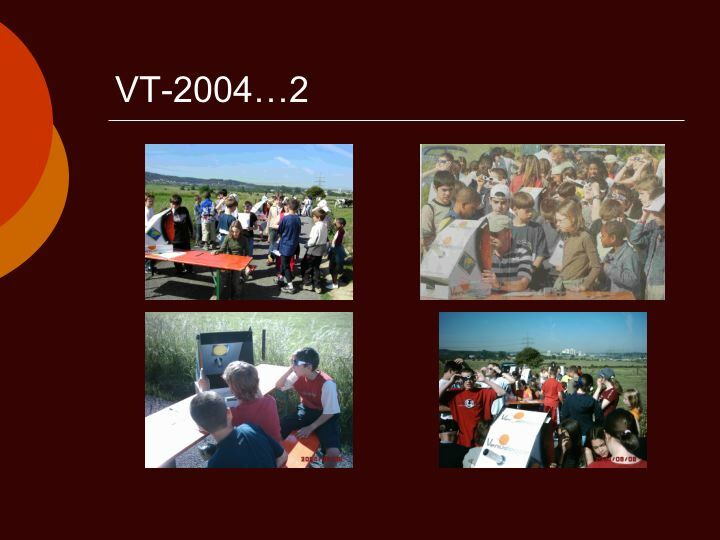 All photos on this page may be downloaded and used, provided the organisers and the VT-2004 programme are indicated as source. 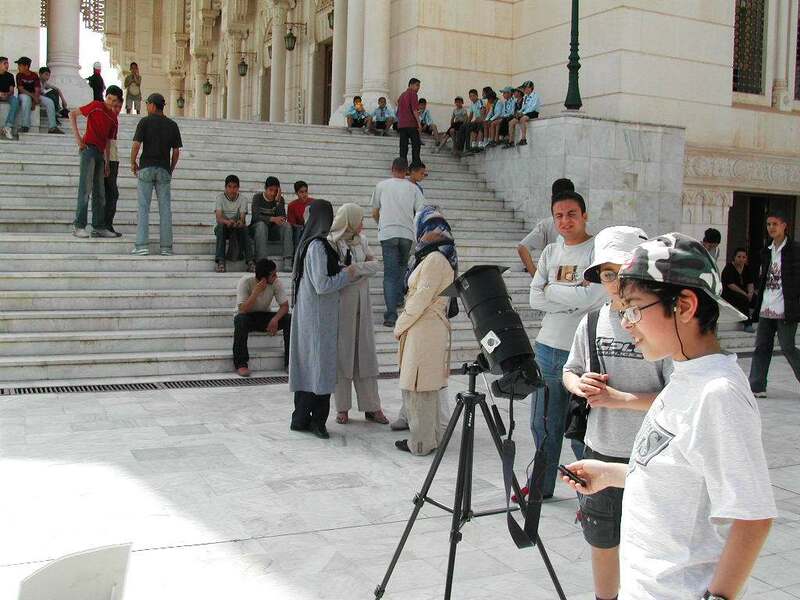 Algeria, Constantine, Emir Abdelkader Mosque : [Photo 1 - 91k] - [Photo 2 - 114k] - [Photo 3 - 116k] - [Photo 4 - 119k] - [Photo 5 - 86k] - [Photo 6 - 52k] - [Photo 7 - 27k] - [Photo 8 - 114k] - [Photo 9 - 7k] - [Photo 10 - 187k] - (Org: Sirius Astronomy Association; More pictures at http://www.geocities.com/siriusalgeria/vt2004.htm). 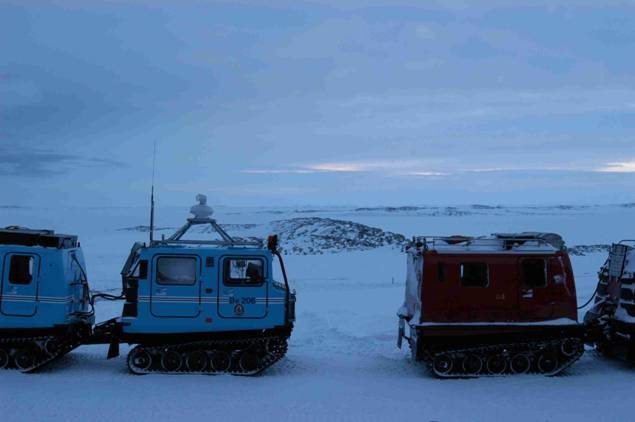 Antarctica, Australian Casey Station : [Photo 1 - 111k] - (Photo by Paul Munro, Australian Antarctic Division; Andrew Klekociuk writes: "Unfortunately it was completely cloudy at Casey during the transit, although we had several expeditioners with cameras and telescopes. 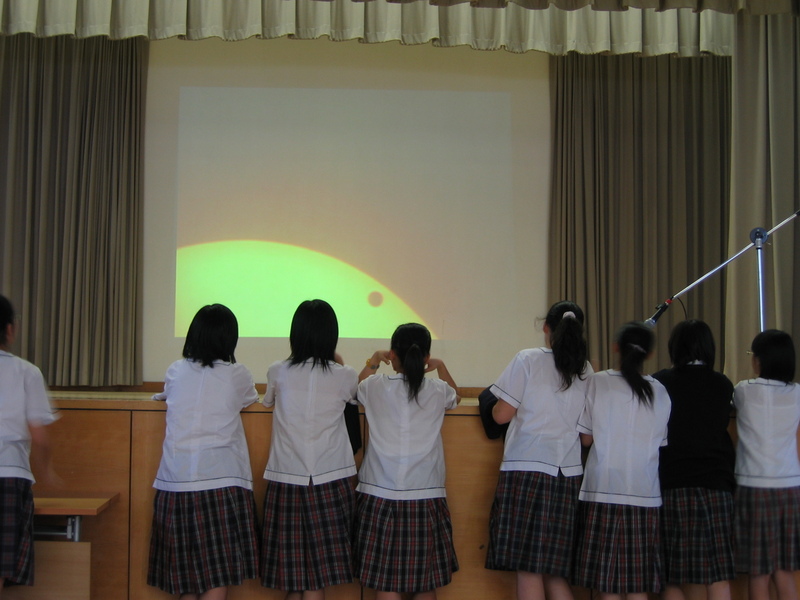 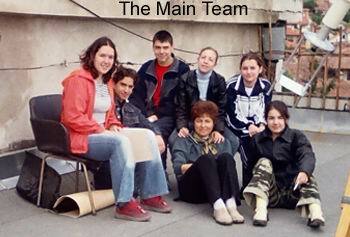 They had practised during the previous weeks to ensure we would get something if the weather cooperated."). 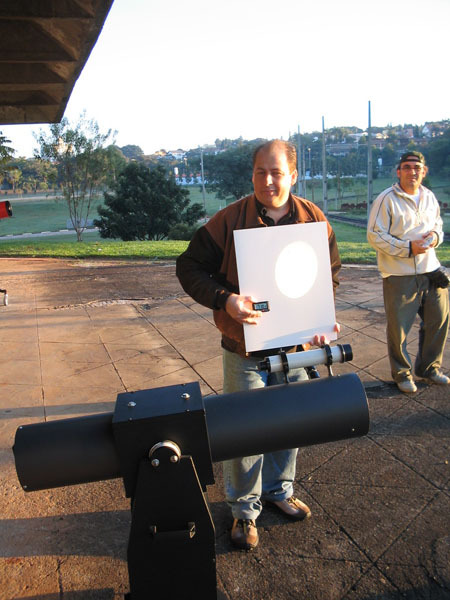 Brasil, Campinas : [Photo 1 - 160k] - [Photo 2 - 75k] - [Photo 3 - 144k] - [Photo 4 - 120k] - [Photo 5 - 95k] - (Org. 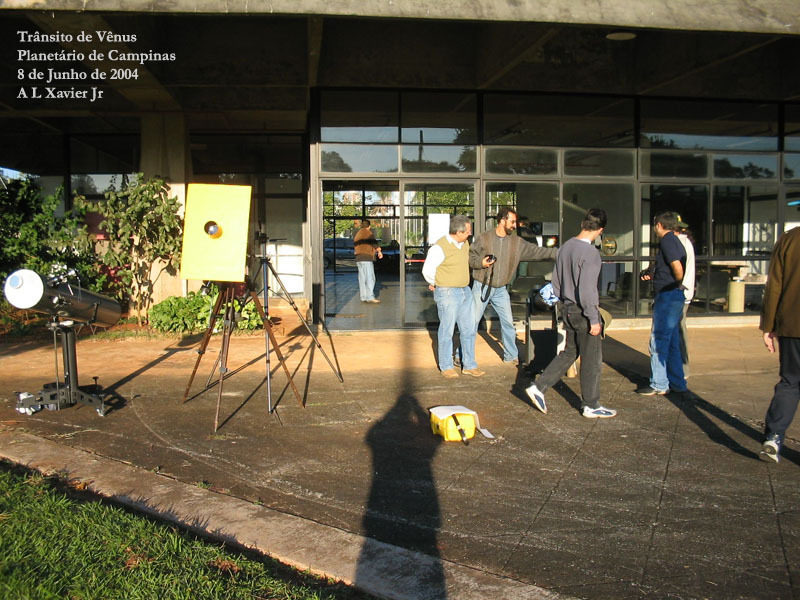 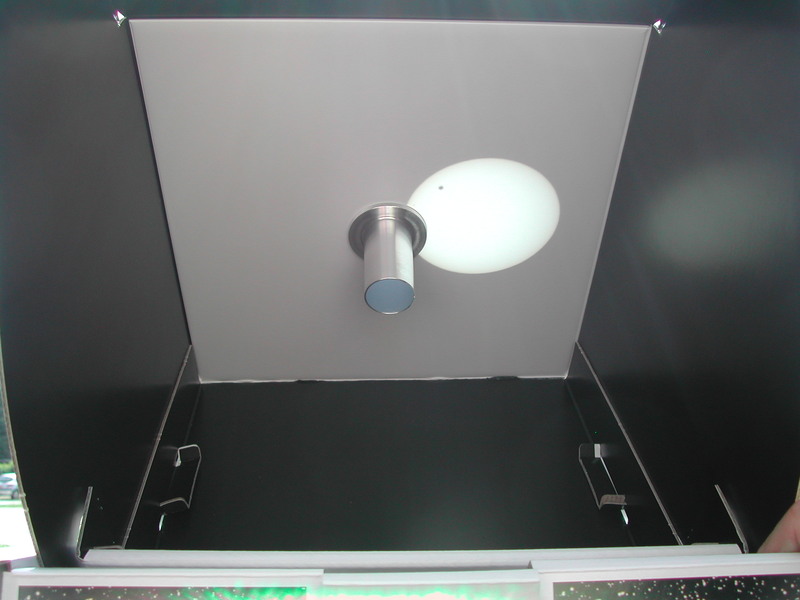 : Planetário de Campinas; More pictures at http://www.geocities.com/aster_site/transven/trans_ven.htm). 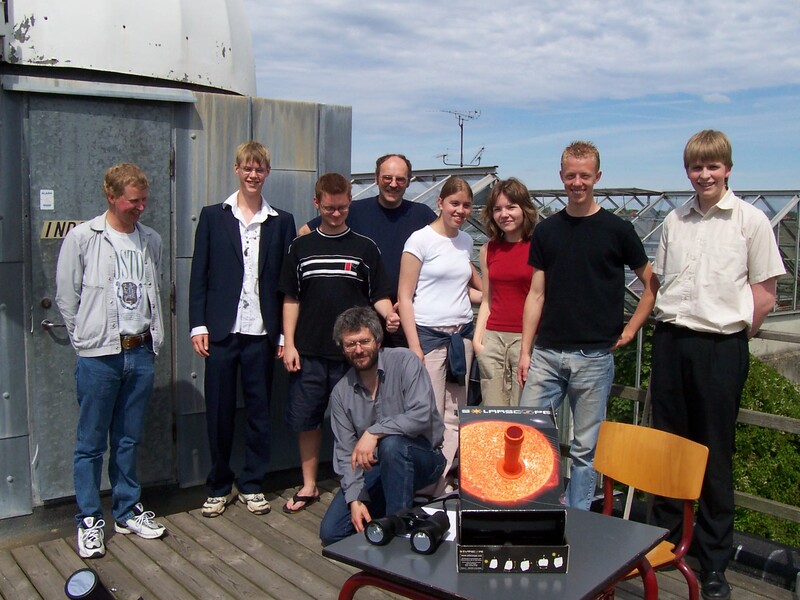 Denmark, Sønderborg : [Photo 1 - 472k] - (Org: EUC Syd and Amtsgymnasiet Sønderborg - Mogens Winther); See also this site.